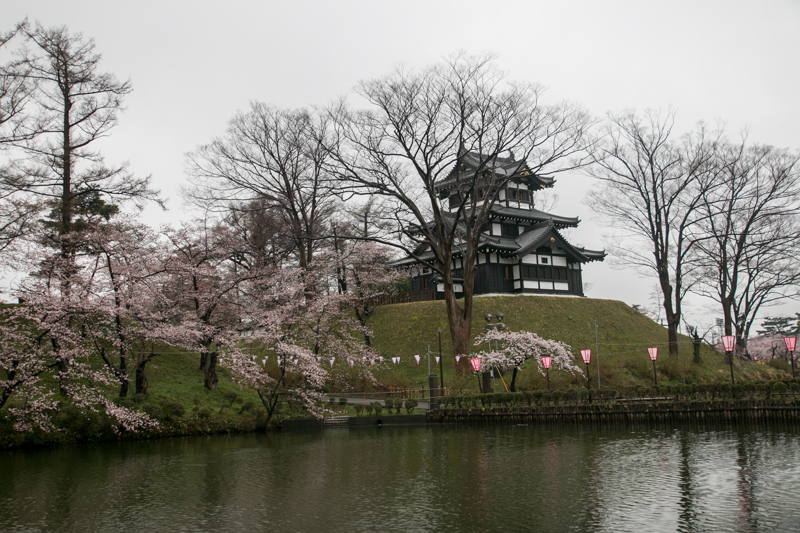 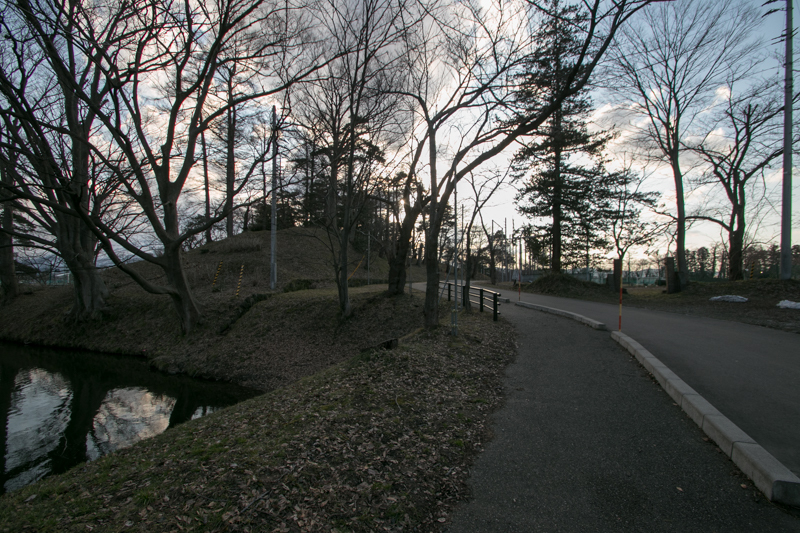 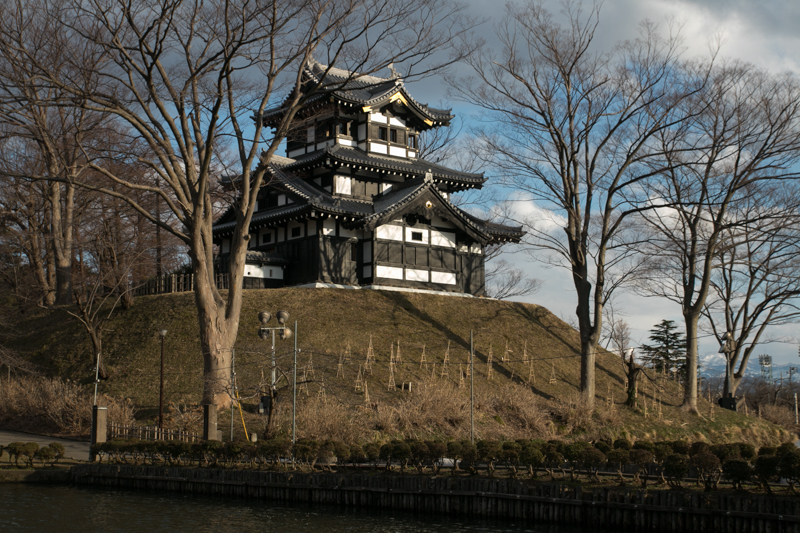 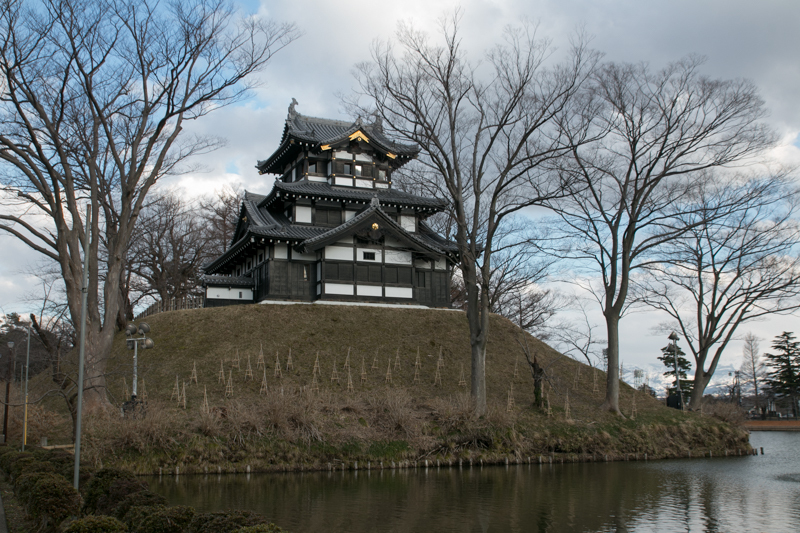 Takada castle (高田城) is located at the merging point of Sekikawa river and Yashirogawa river in the center of current Joetsu city. 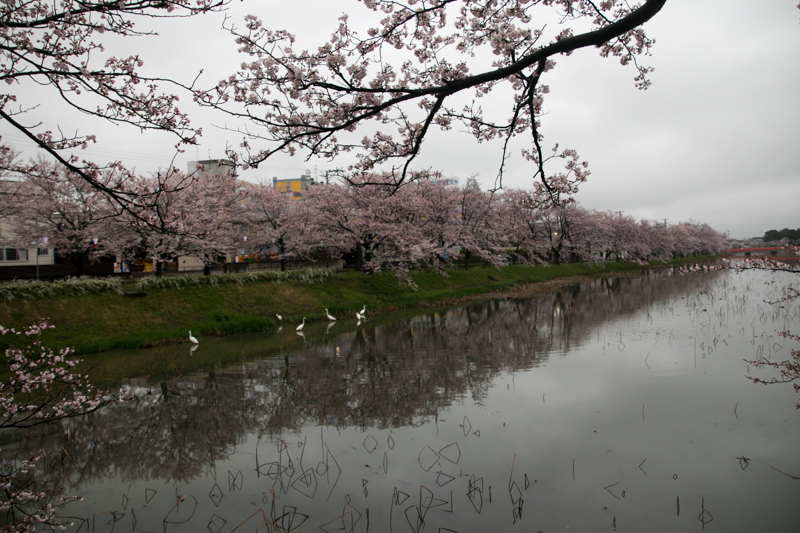 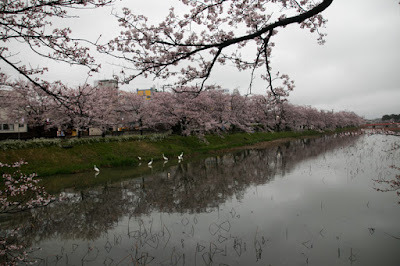 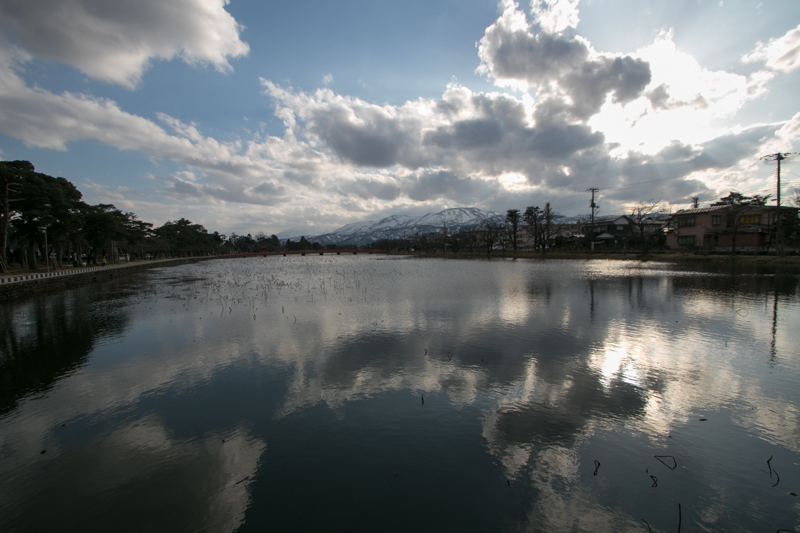 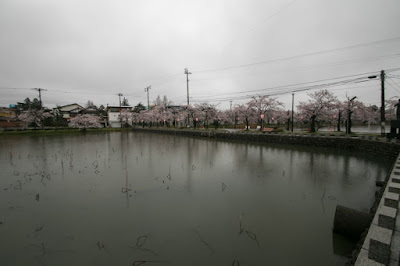 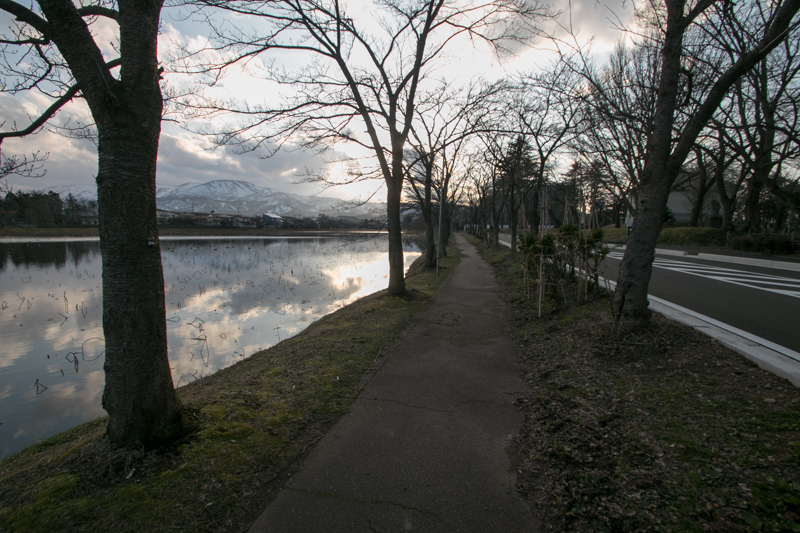 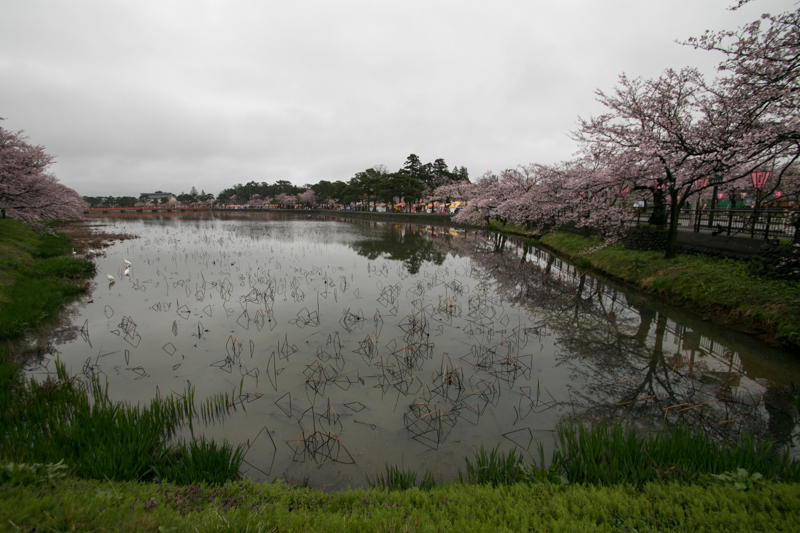 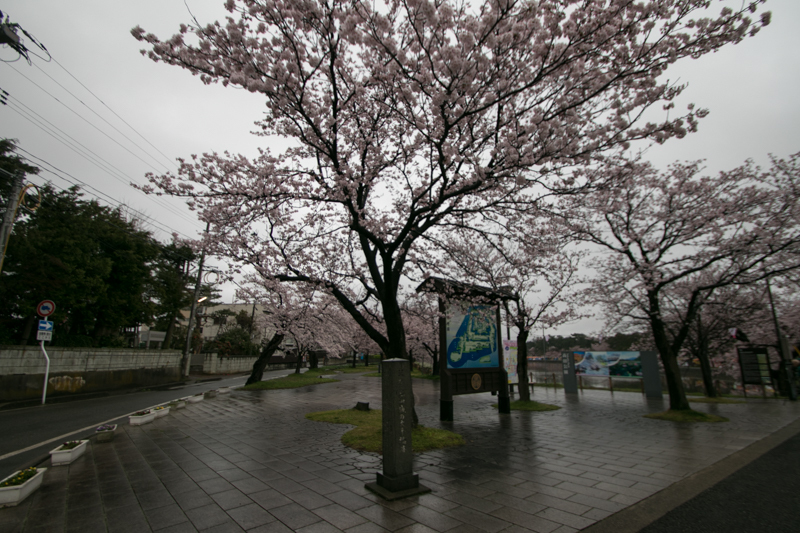 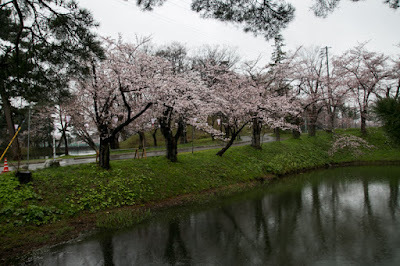 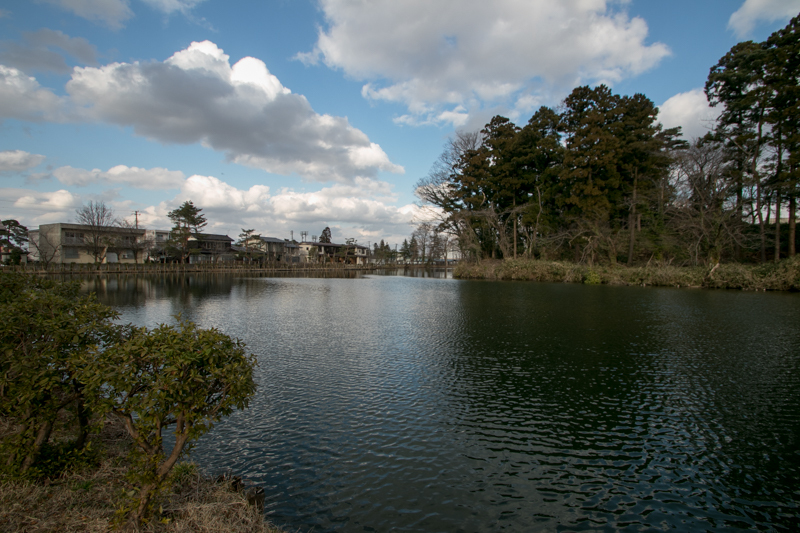 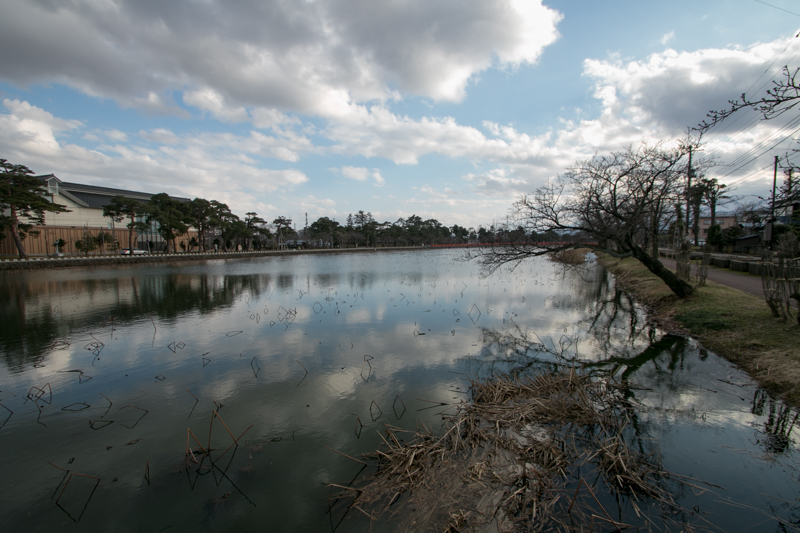 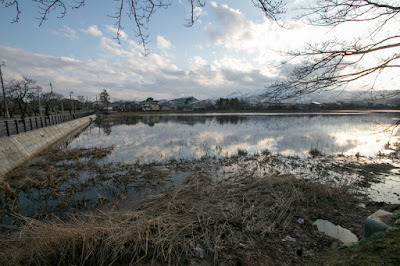 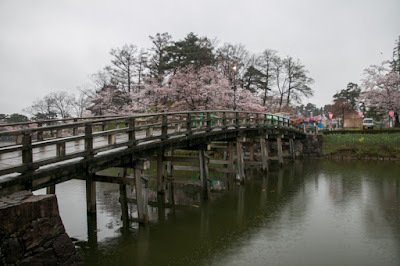 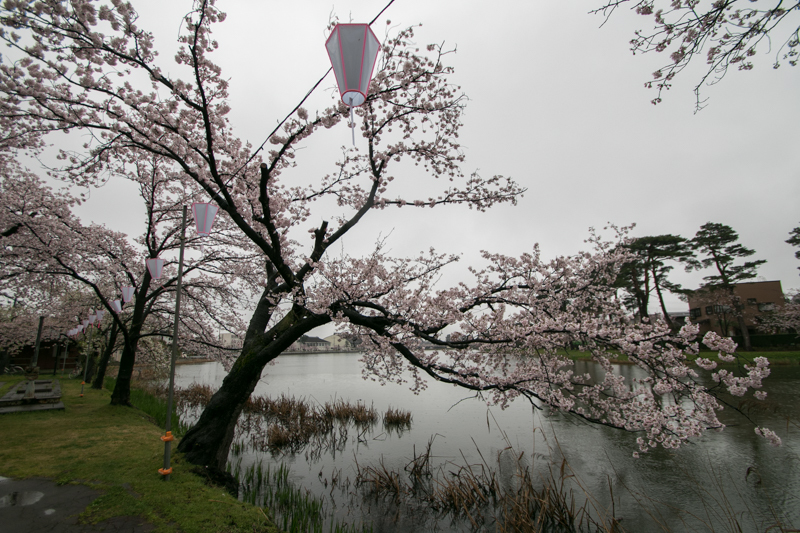 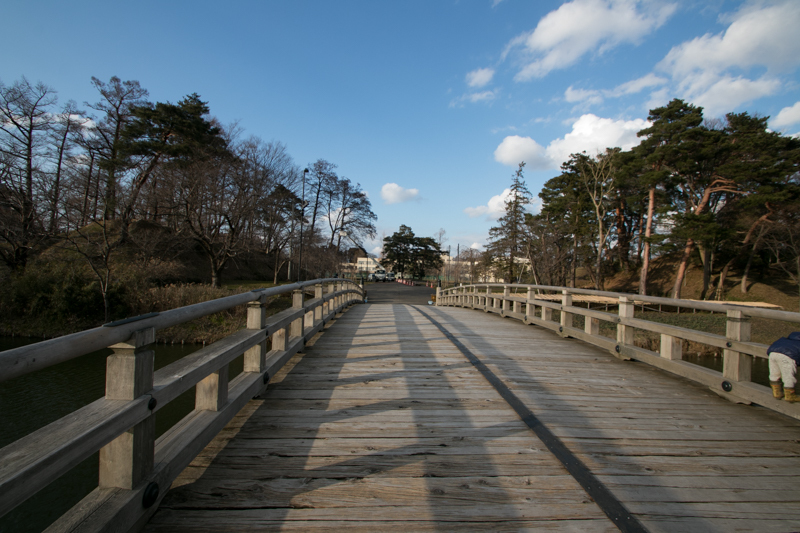 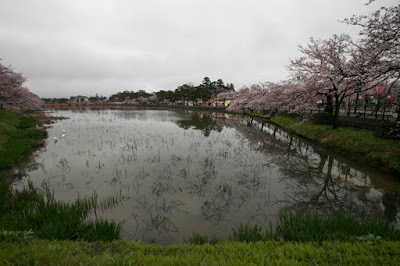 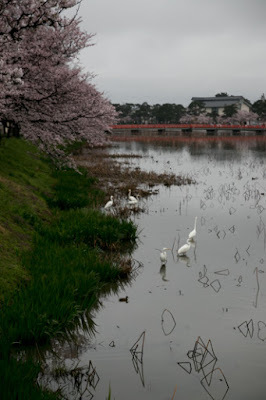 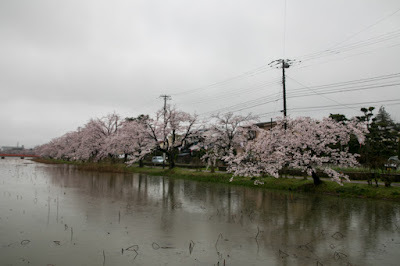 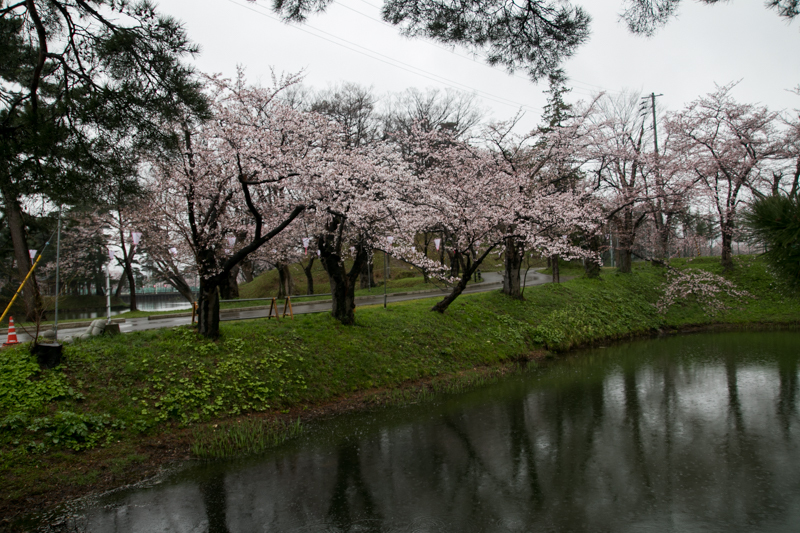 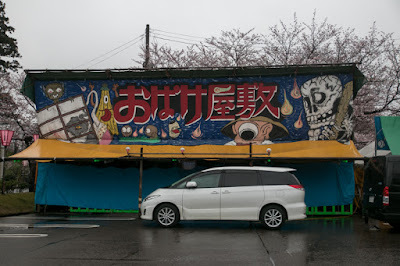 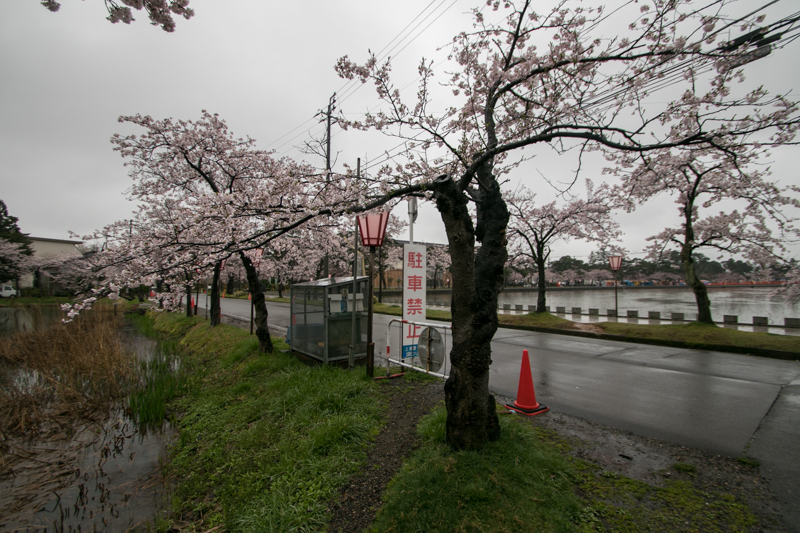 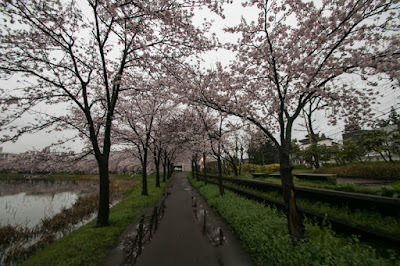 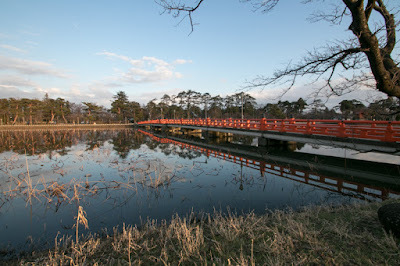 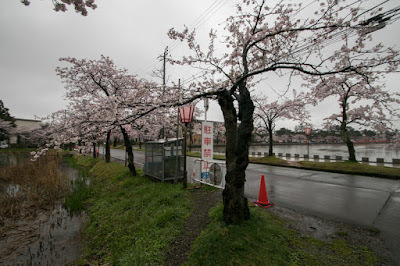 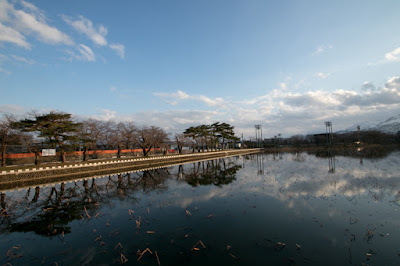 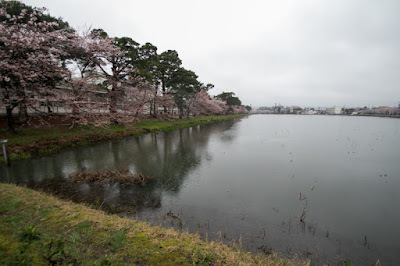 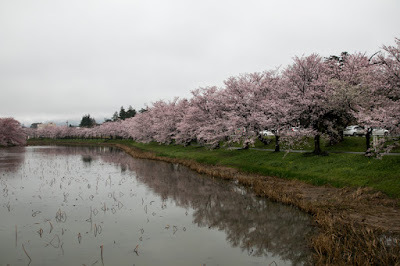 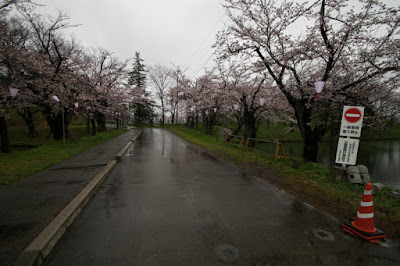 Joetsu area is one of the three plains of current Niigata prefecture, and had been prospered as the center of Echigo province (Niigata prefecture) with Naoetsu port, one of major ports at the sea line of Sea of Japan in medieval era. 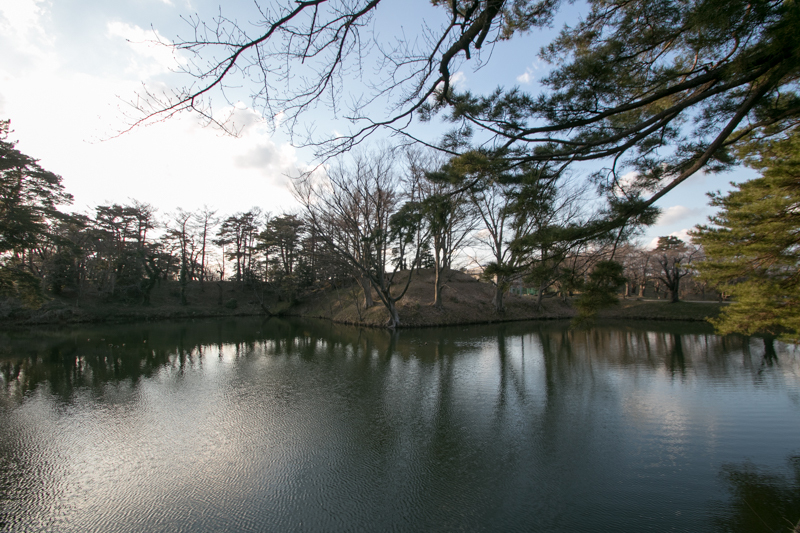 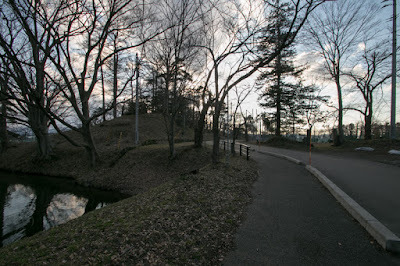 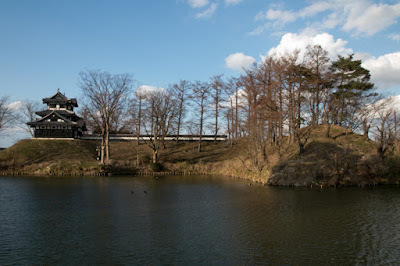 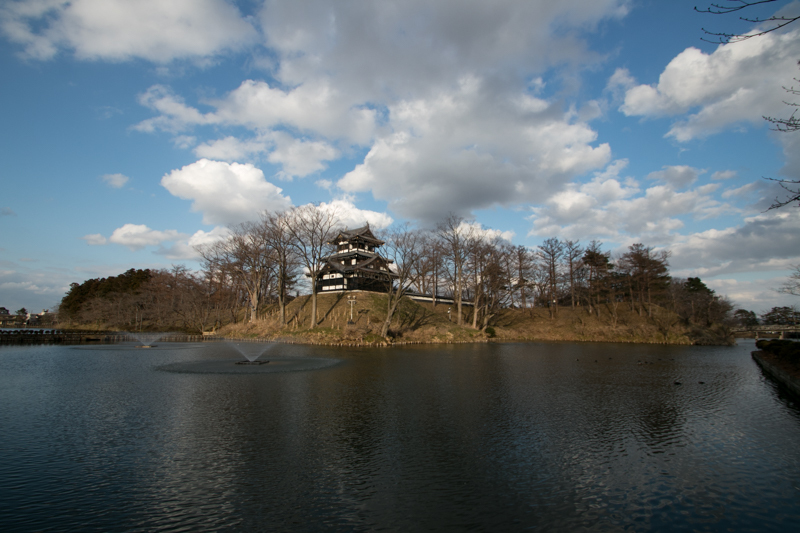 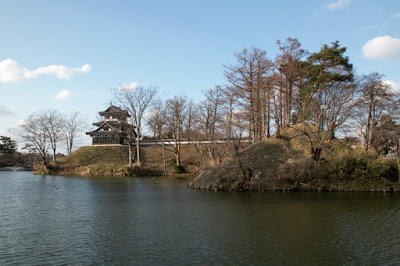 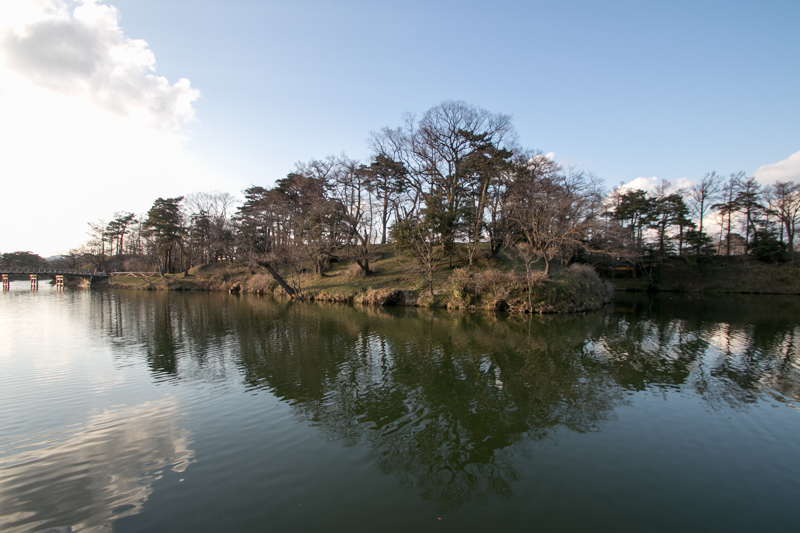 Takada castle utilizes small height surrounded by a reverse C letter curving Sekikawa river and Yashirogawa river as outer backside moat, at the border of hilly area and low land. 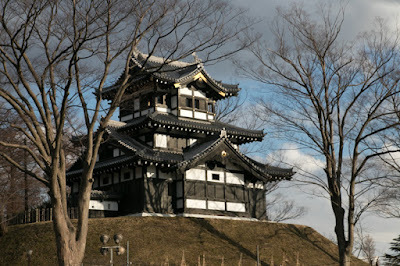 Even seen as Hokuriku Shinkansen today, Hokkoku Kaido road from Joetsu city to Nagano city has been the most convenient way from Kanto region to Hokuriku region, and Takada castle was built to control this road passes narrow area between westward mountains and castle. Since 14th century, Takada plain had been governed by Fuchu Nagao clan, a retainer of Uesugi clan which was high class retainer of Muromachi Shogunate. 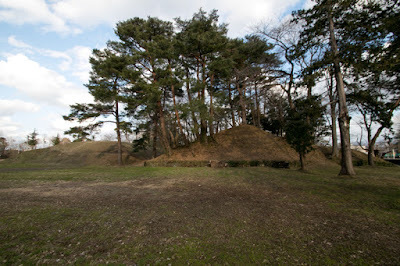 Nagao clan built Kasugayama castle regarded one of five brilliant medieval mountain castles, then gradually grew their power and finally overcame their master Uesugi clan. In the middle of 16th century, Kenshin Uesugi (1530-1578) who was the leader of Nagao clan but succeeded the surname of Uesugi from main stream of Uesugi clan, united Echigo province and expanded their territory toward surrounding provinces. 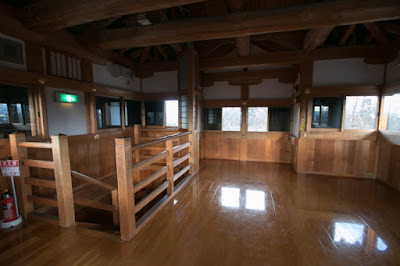 Kenshin experienced many battles against his rival Shingen Takeda (1521-1573) who was the warlord of Kai province (Yamanashi prefecture) or Ujiyasu Hojo (1515-1571) that was the lord of Sagami province (Kanagawa prefecture), and was praised as the god of war. 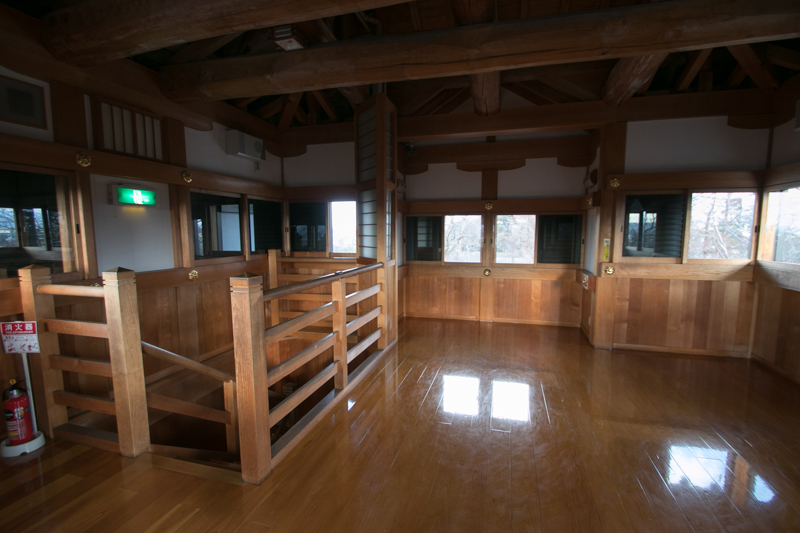 But after the death of Kenshin, Uesugi clan experienced severe internal conflict called as "Otate no Ran" between two adopted sons of Kenshin, and significantly lost their power. 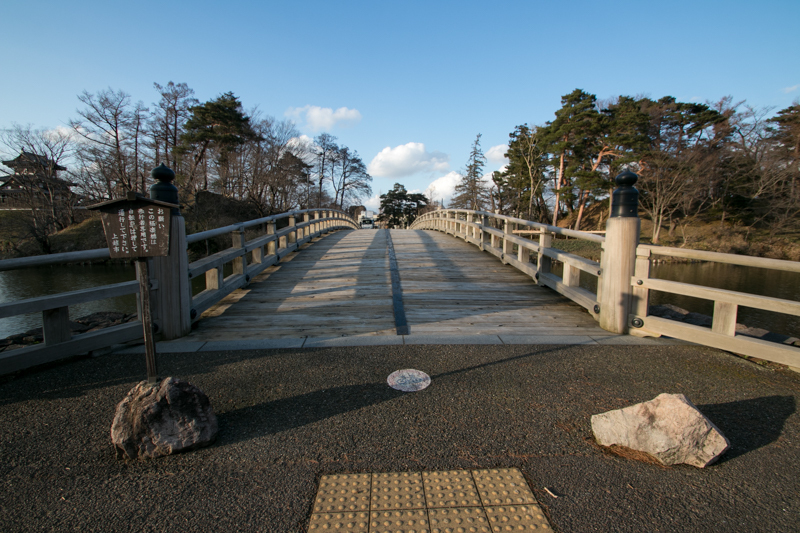 Kagekatsu Uesugi (1556-1612) who won the conflict and succeeded Uesugi clan was once forced to the corner by central ruler Nobunaga Oda (1534-1582), but survived by sudden death of Nobunaga then subordinated to next ruler Hideyoshi Toyotomi (1537-1598). 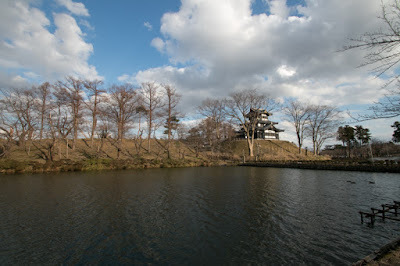 After the battle of Sekigahara occurred in 1600, in 1606, Hori clan abolished Kasugayama castle and newly built Fukushima castle which was a splendid modern castle with three layer moats at seashore. 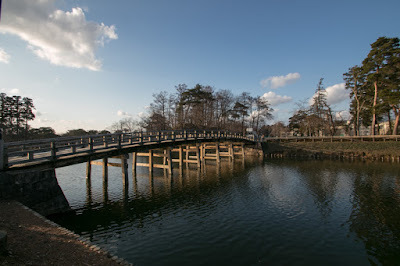 But in 1610, Hori clan lost their territory as a punishment for their internal conflict, and Tadateru Matsudaira (1592-1683), the sixth son of Ieyasu Tokugawa (1543-1616) who was the founder of Edo Shogunate, was appointed as the lord of Fukushima castle. At this point, Tadateru Matsudaira was second eldest son of Ieyasu next to Hidetada Tokugawa (1579-1632) who was the second Shogun, as his elder brothers such as Hideyasu Yuki (1574-1607), Tadayoshi Matsudaira (1580-1607) or Nobuyoshi Takeda (1583-1603) died in ill in youth. But Tadateru Matsudaira was a obscure prince hated by his father just from the time of his birth. 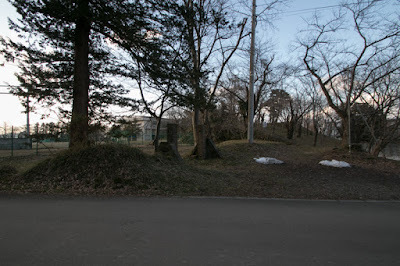 The reason of this treatment is unknown, but it is said that Tadateru looked alike Nobuyasu Tokugawa (1559-1579), the eldest son of Ieyasu but Ieyasu had to execute. 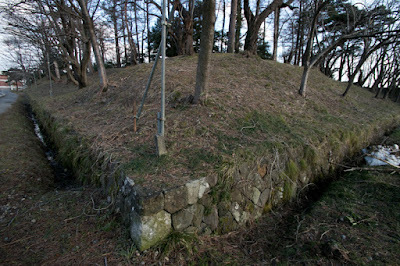 Just after the birth Tadateru was adopted by Hiroteru Minagawa (1548-1628), a small local lord of Minagawa castle at Shimotsuke province (Tochigi prefecture), and grew under him. At the 6th years old Tadateru met Ieyasu for the first time, but Ieyasu did not change his attitude. Three sons hated by Ieyasu it mean Nobuyasu Tokugawa, Hideyasu Yuki and Tadateru Matsudaira all has the tale of bullish and brutal. 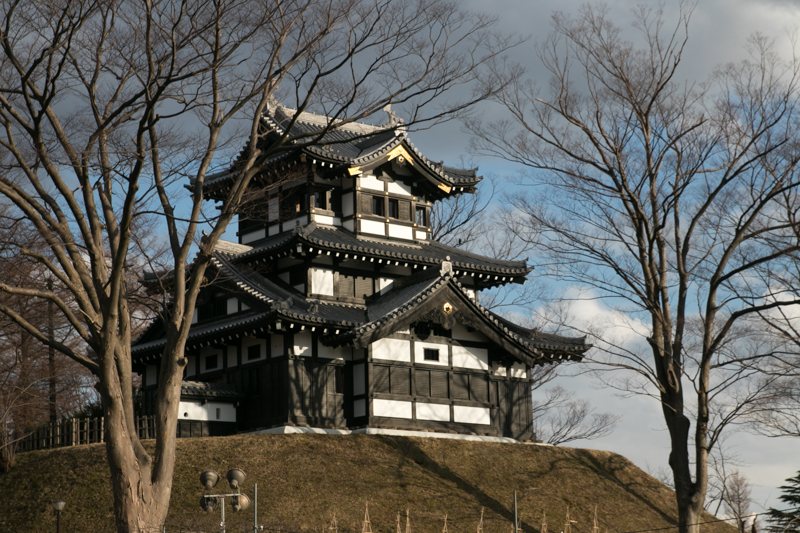 It might be a slander to justify this attitude, but Ieyasu who was known as perseverance and patience might seriously disliked such character. 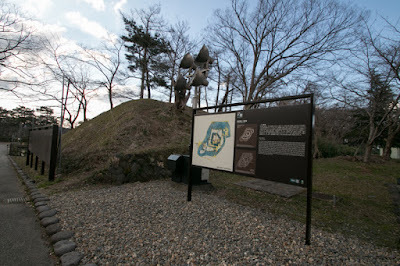 But at the unstable time even though after the victory at the battle of Sekigahara, with the decease of elder brothers, the existence of Tadateru as a grown up son of Ieyasu became important. 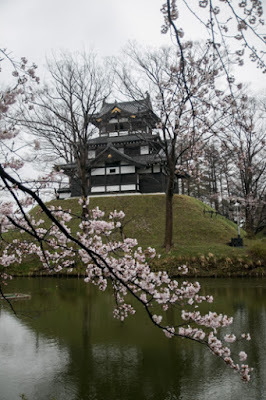 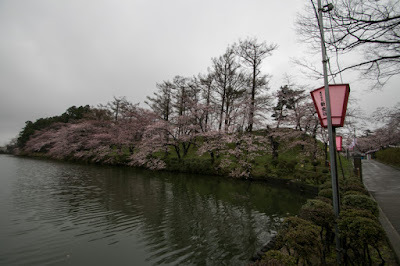 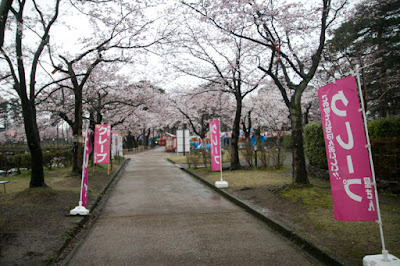 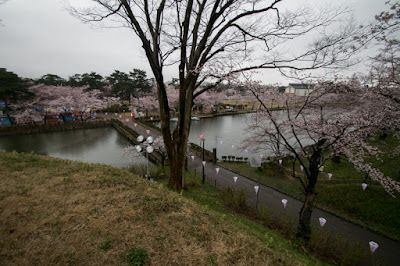 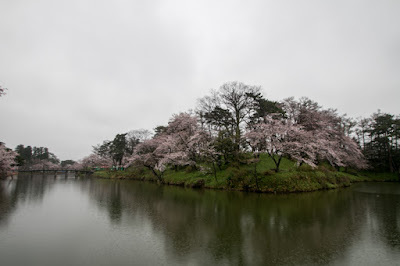 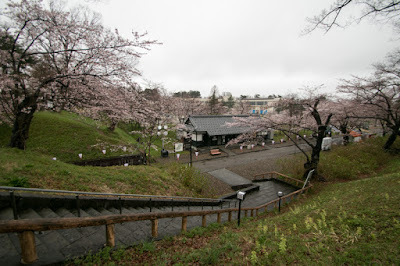 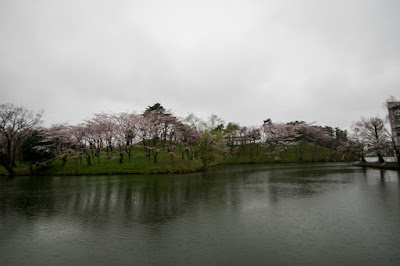 In 1602, Tadateru was appointed as the lord of Sakura castle (Chiba prefecture), an important castle which protected the eastward of Edo city, In 1606, Tadateru promoted to the lord of Matsushiro castle (Nagano prefecture), and Choan Okubo (1545-1613), the confident administrative of Ieyasu who dominated gold and silver mines of Japan, was attached as the chancellor of Tadateru. Furthermore Tadateru married with the daughter of Masamune Date (1567-1636), the strong lord of Sendai castle (Miyagi prefecture). 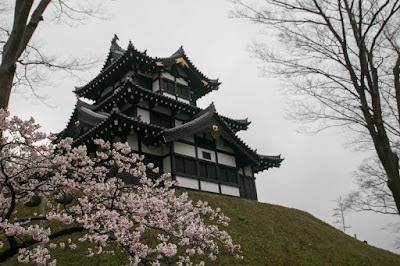 In 1610, Tadateru was given Echigo province in addition to original territory, and became the second largest lord next to Maeda clan at Kanazawa castle (Ishikawa prefecture), which had vast territory just at the west of Joetsu area. It is said that Ieyasu intended to restrain Maeda clan, which became marital relative of Edo Shogunate but was originally close to Toyotomi clan which remained at Osaka castle (Osaka prefecture). 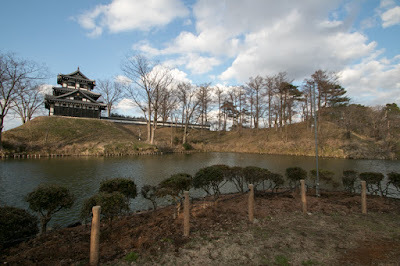 In 1614, Tadateru abolished Fukushima castle then newly built Takada castle at inland. 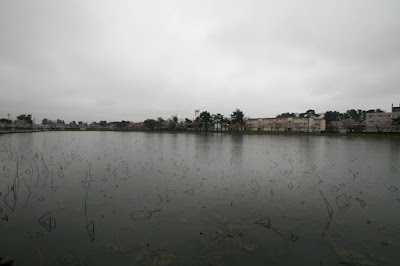 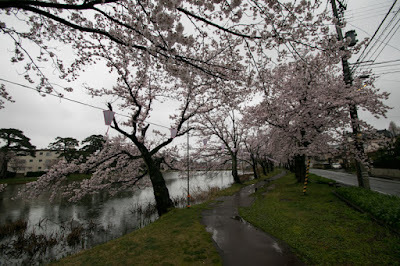 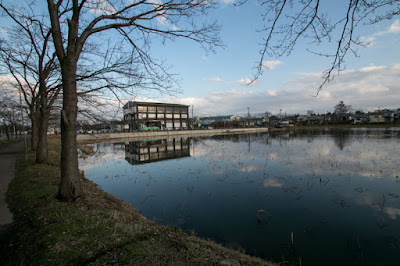 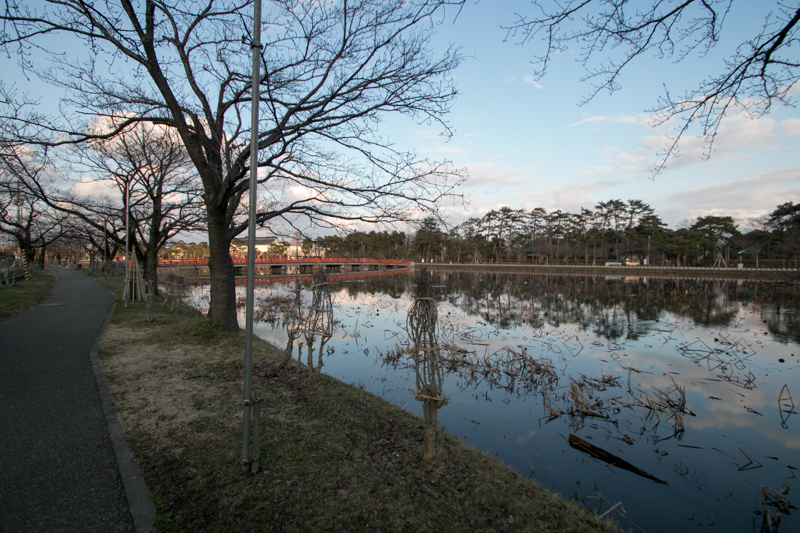 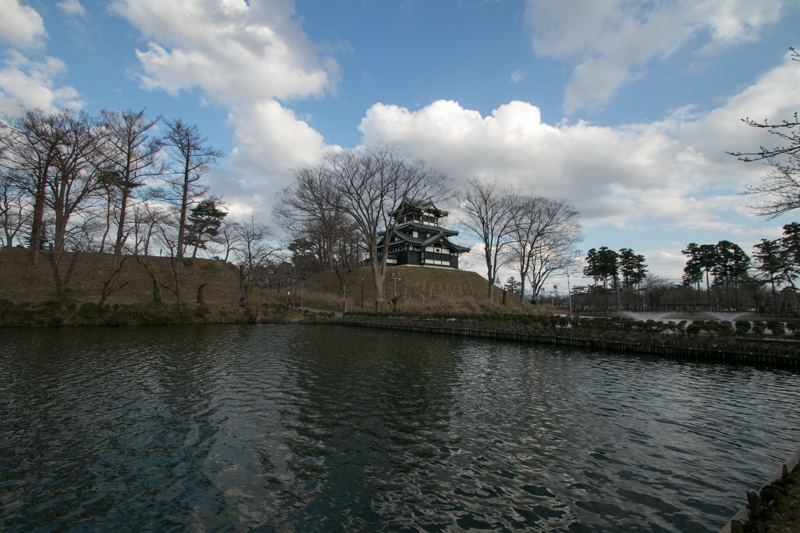 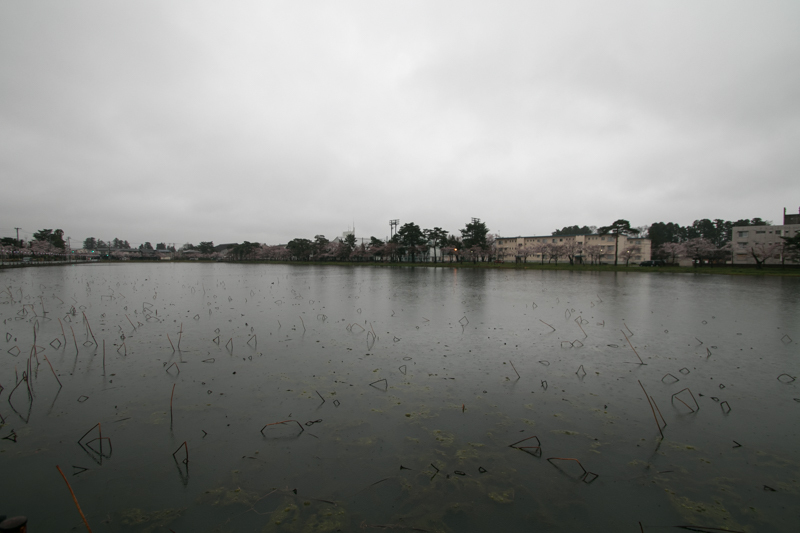 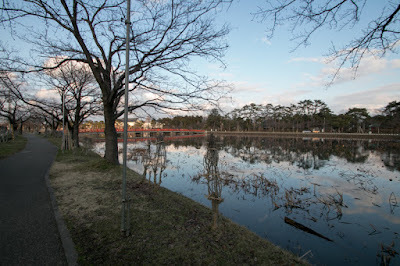 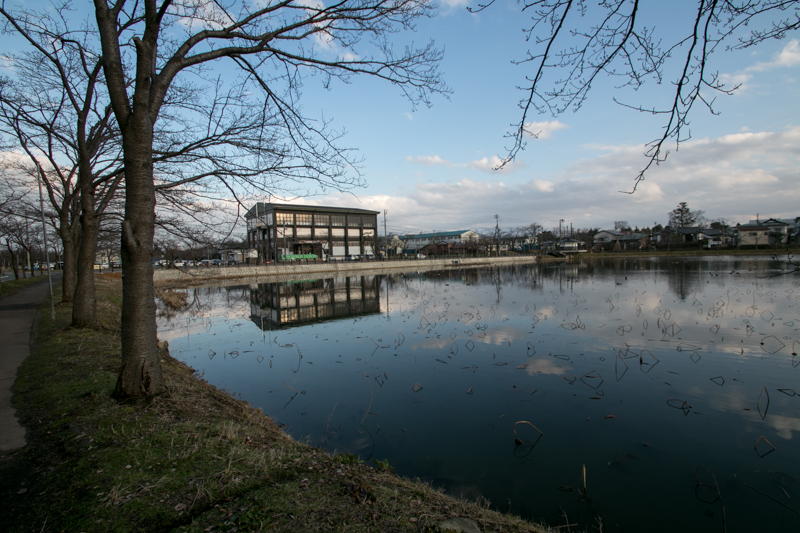 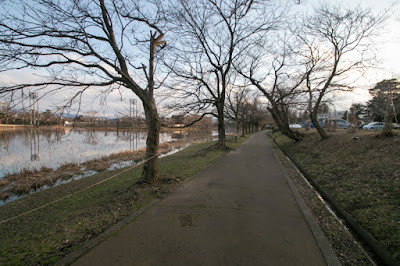 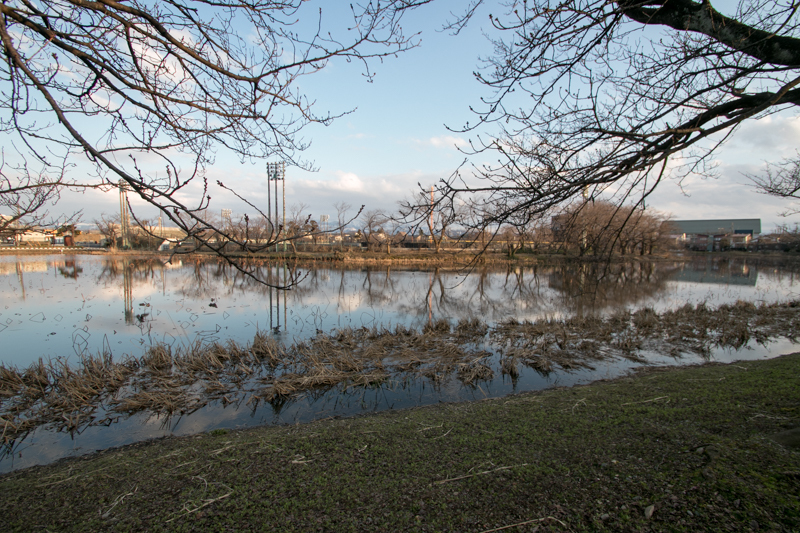 Although Fukushima castle was convenient castle close to Naoetsu town and Naoetsu port, it suffered damage of floods by two rivers. 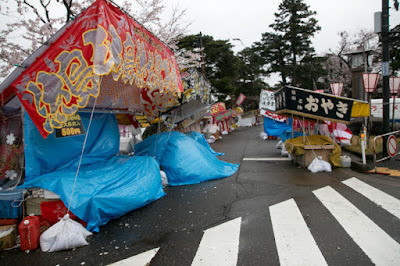 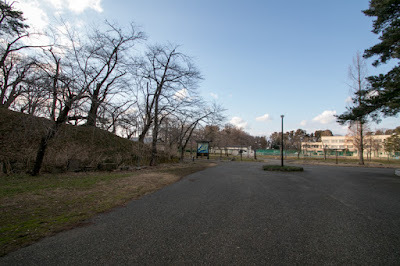 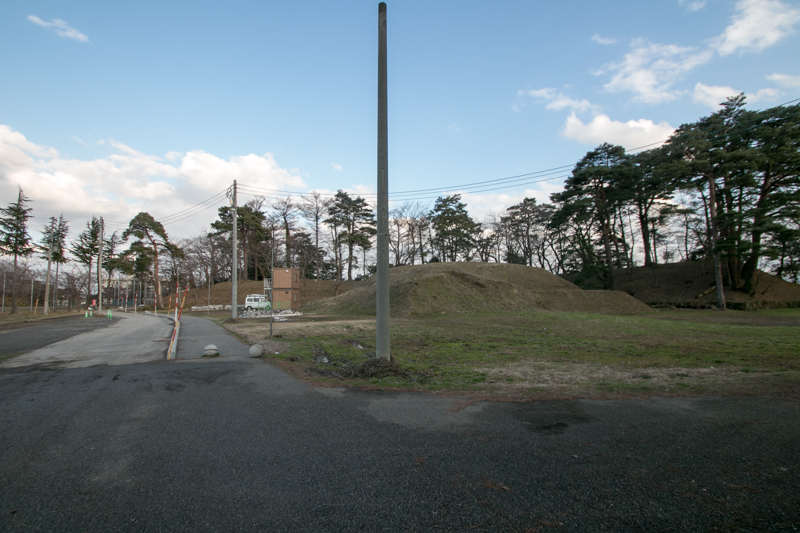 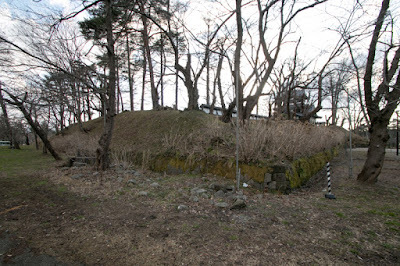 Furthermore, Fukushima castle was a secure castle but did not have plenty size to utilize large size army and avoid direct cannon attack to core part. 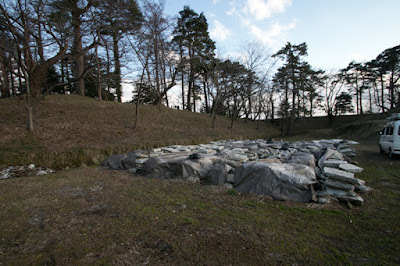 It is also said that Tadateru disliked sound of the wave. Considering tense situation between Edo Shogunate and Toyotomi clan at Osaka castle, construction of Takada castle was a rush job. 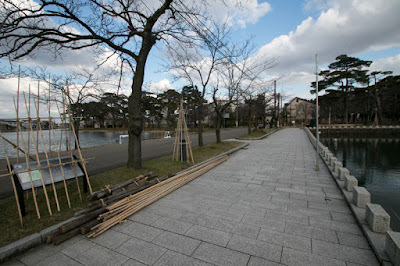 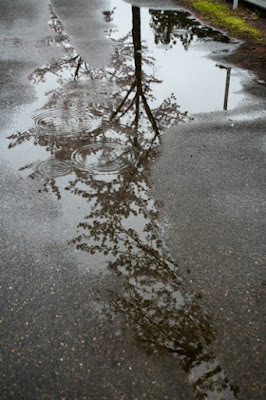 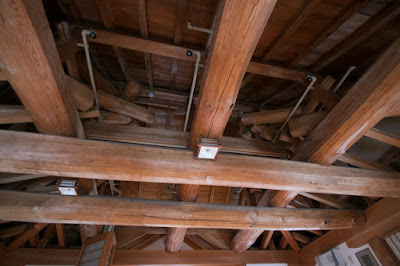 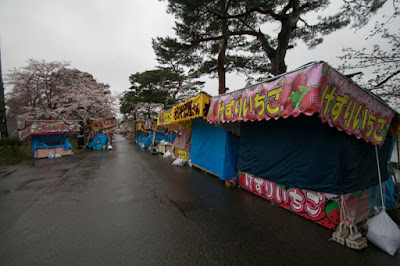 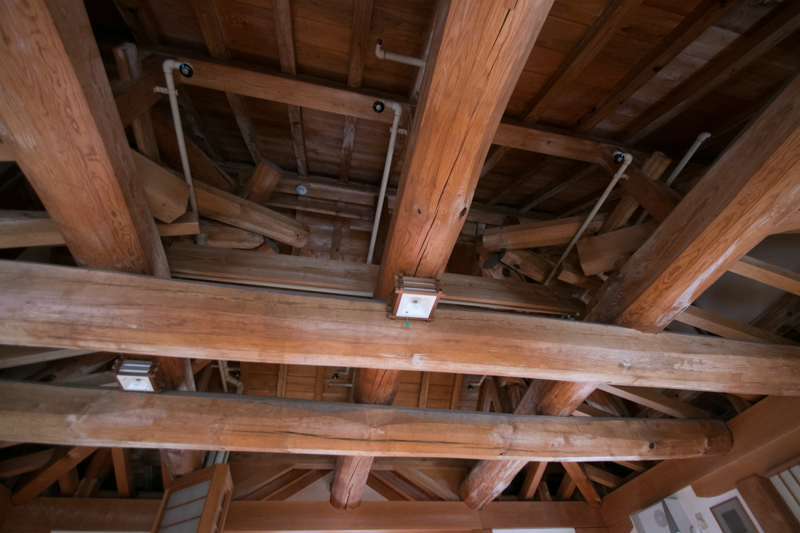 Under the order of Edo Shogunate, Masamune Date who was the father in law and other lords participated in construction. To spare time, stone walls needed secure basement at marsh were not used and all walls were clay one. 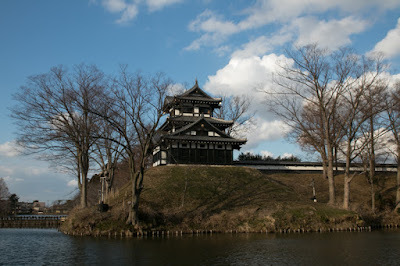 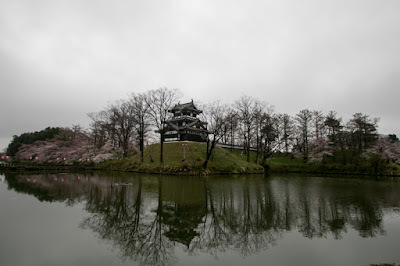 After four month construction, simple but secure castle matched to the son of Shogun had completed. 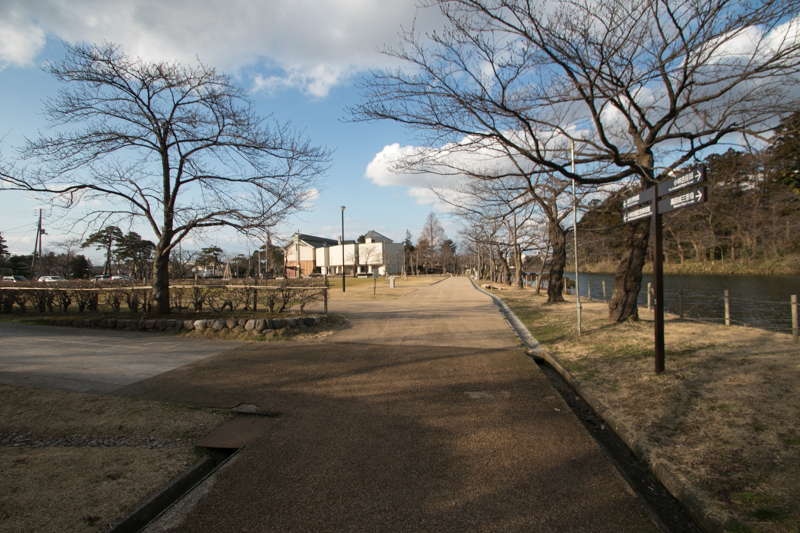 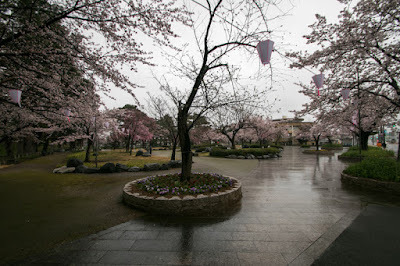 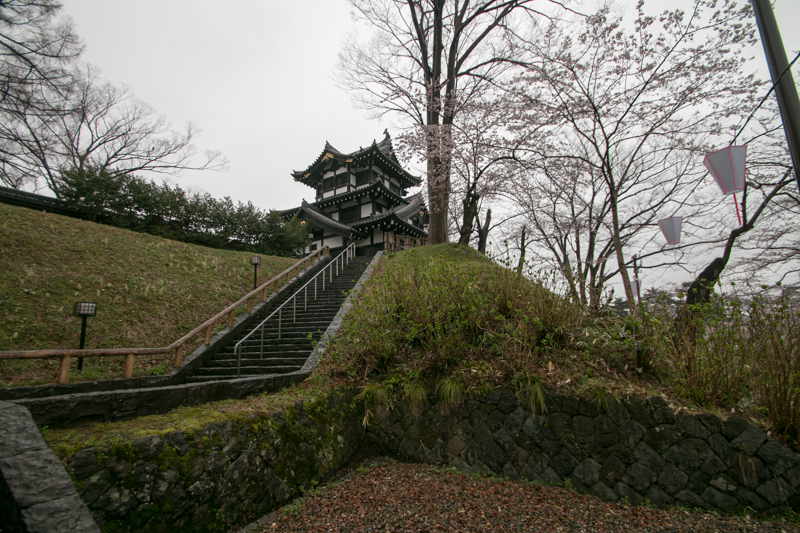 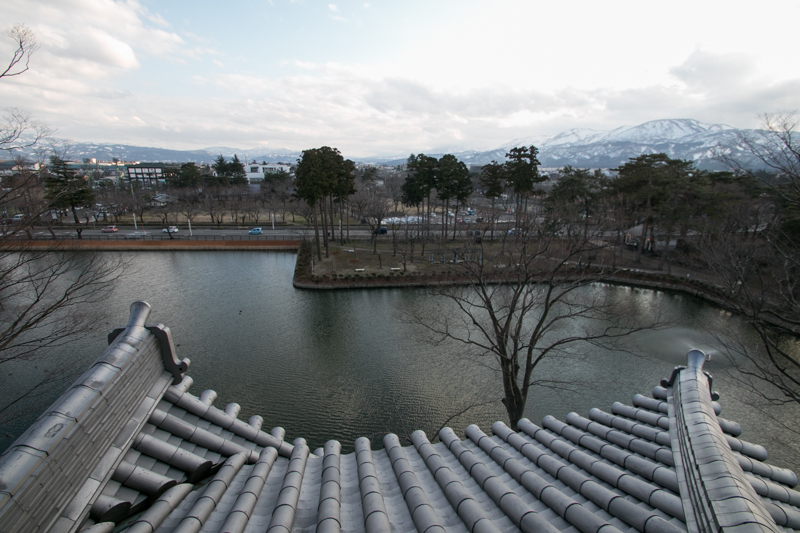 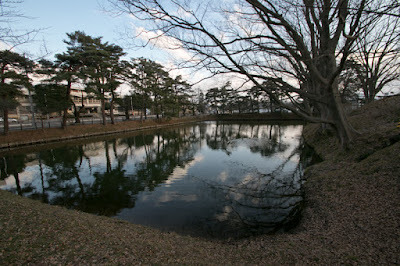 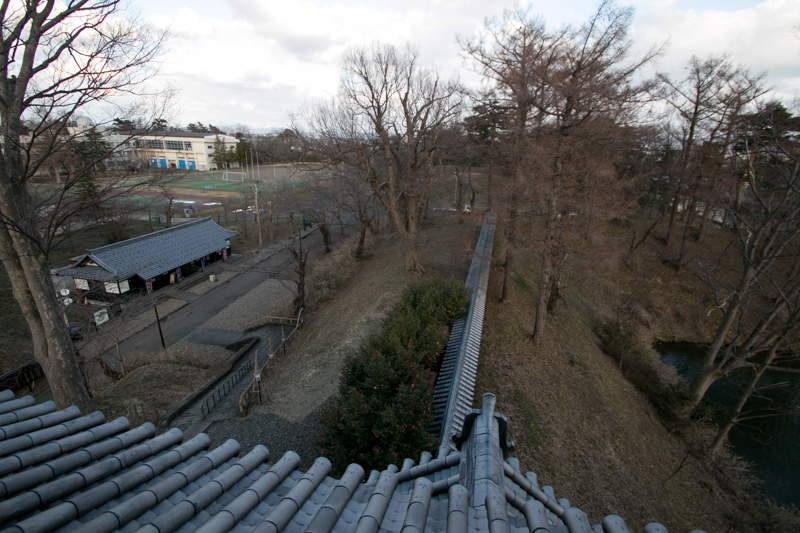 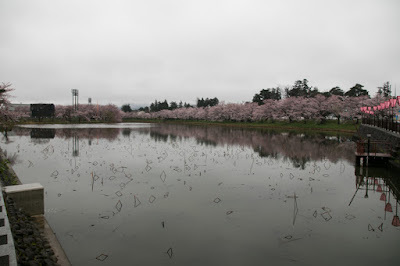 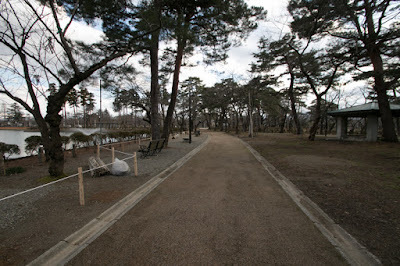 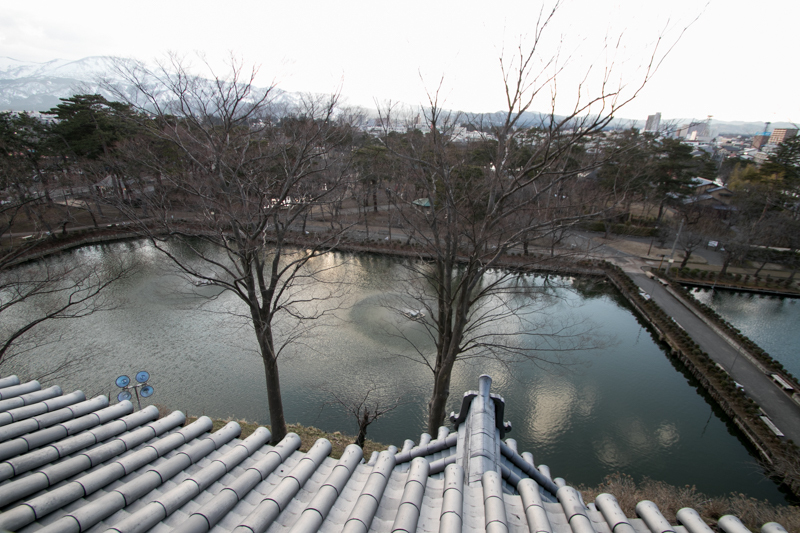 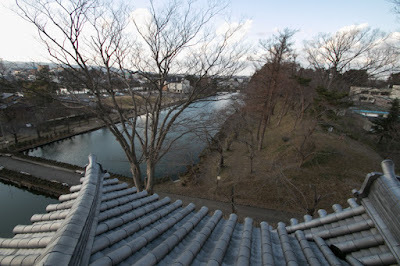 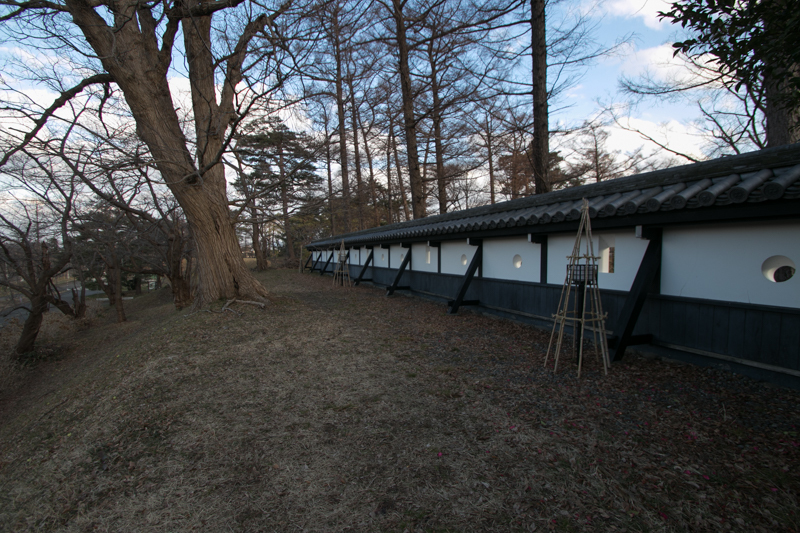 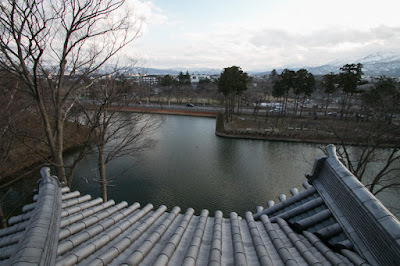 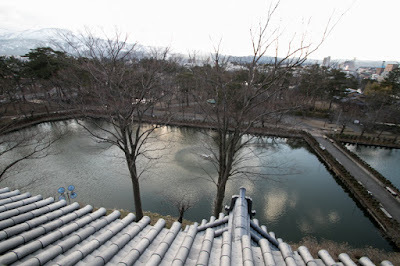 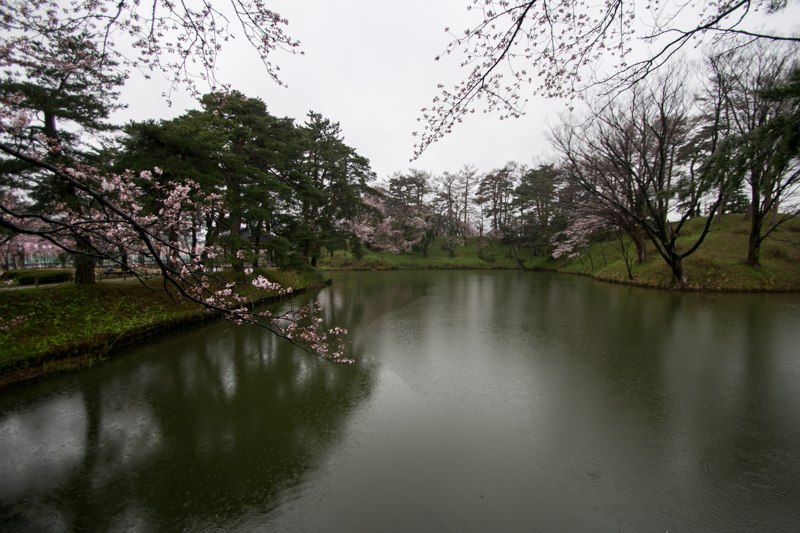 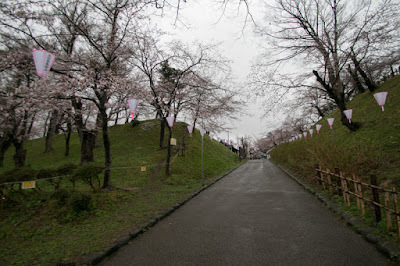 Core part of Takada castle is a shaped flat area of about 800 meter long and 400 meter wide. 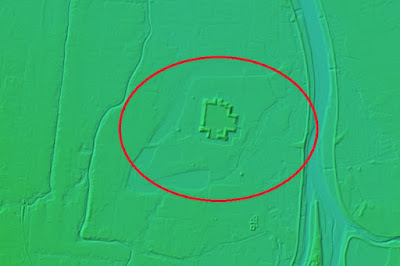 At the center of this diamond, there is a central area of about 200 meter long square, with small folded line of clay wall. 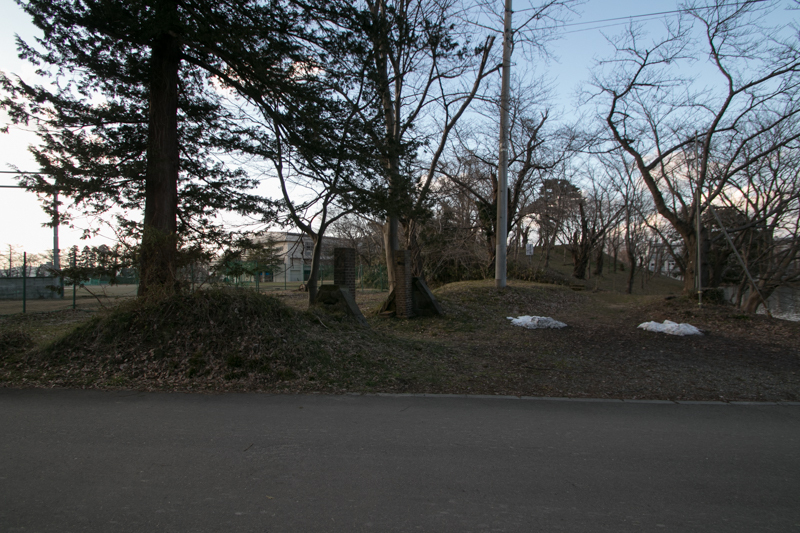 At this central area there are two large masugata style combined gate at south and east line, and a three story turret which was the main building of the castle existed at southwestern corner. 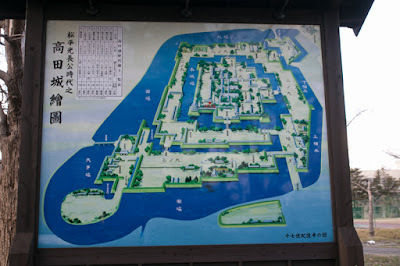 Secondary area and third area were built outside of central area, and both tip of diamond at western and eastern edge were separated by water moats and used as a buffer area of main gate and outside gate. 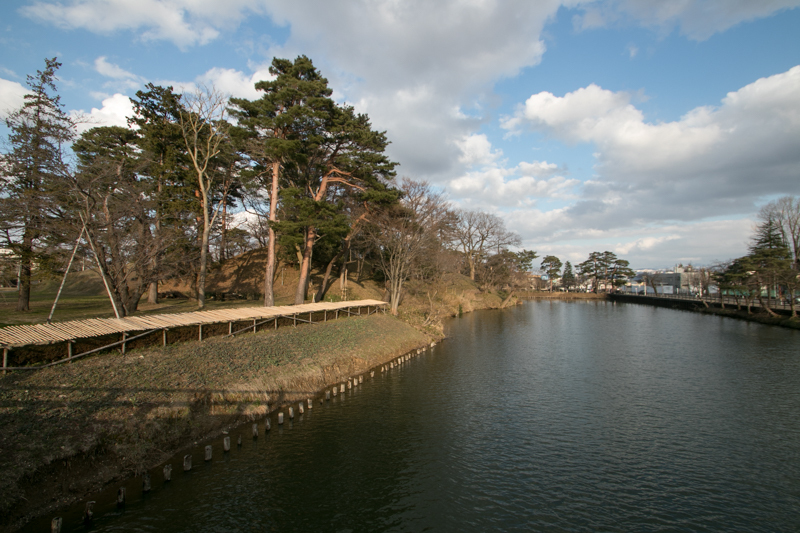 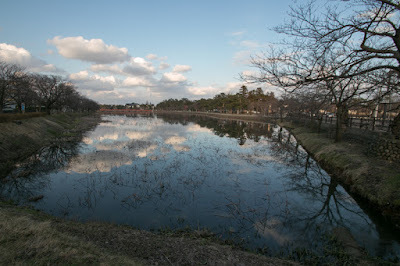 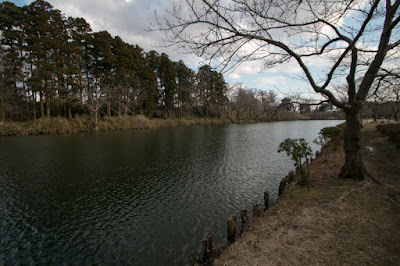 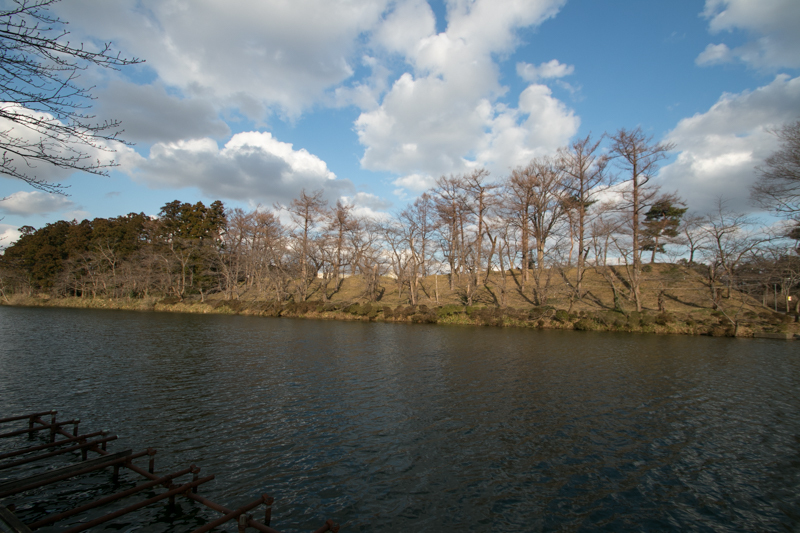 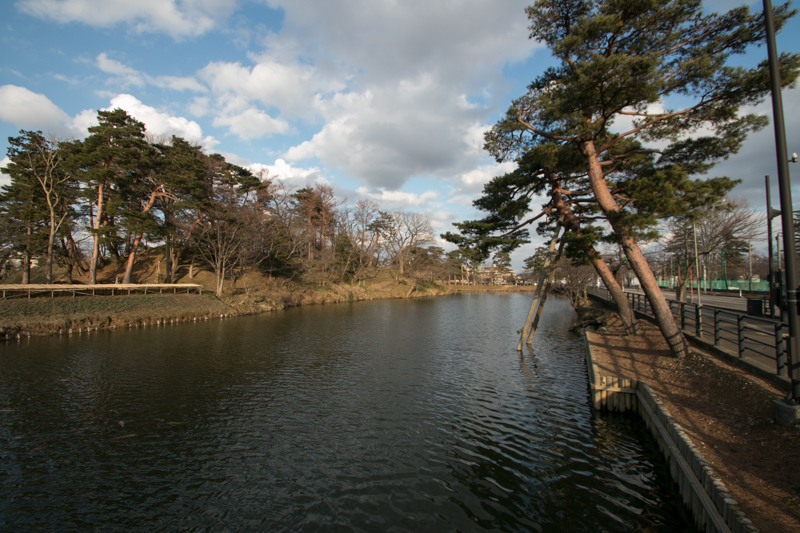 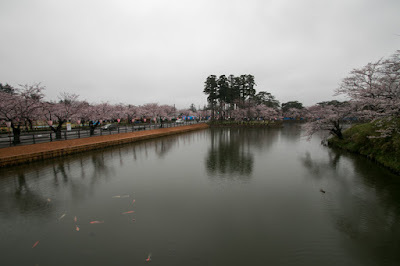 Outside of wide water moat which exceeds over 50 meter wide, outer area which was a rectangular area of 1,500 meter long and 1,000 meter wide existed with outer water moat. Compared with its huge size, Takada castle was a simple castle only had three turrets, and mainly protected by just a combination of fence and clay wall. 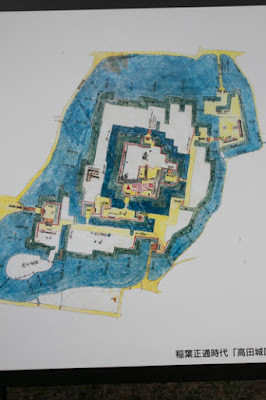 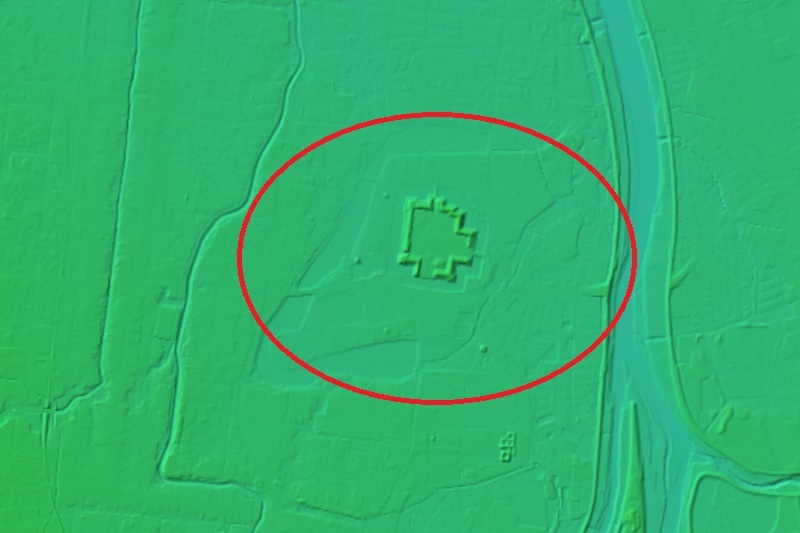 But considering spread of cannons, combination of wide water moat and finely folded line of clay wall with prolonging forts was rather a progressive one like Western fortress. Probably Masamune Date who planned Takada castle was familiar with Western technology then brought it into Takada castle. 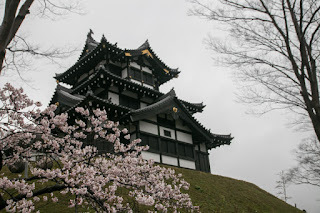 Anyway at this point, being supported by huge castle, talented magistrate and powerful relative, it seemed Tadateru seized glorious future after long time of patience. However, after the ruin of Toyotomi clan at the battle of Osaka castle in 1615, the situation of Tadateru rapidly deteriorated. 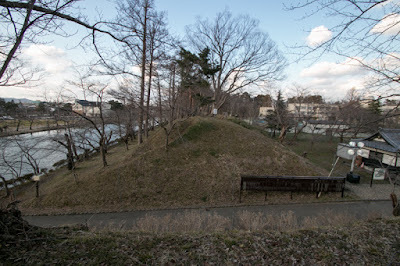 There became no need to confine Maeda clan from Takada castle, and three younger brothers it mean Yoshinao Tokugawa (1601-1650), Yorinobu Tokugawa (1602-1671) and Yorifusa Tokugawa (1603-1661) grown up. Ieyasu favored these three sons and gave large territories, as pillars of Edo Shogunate. 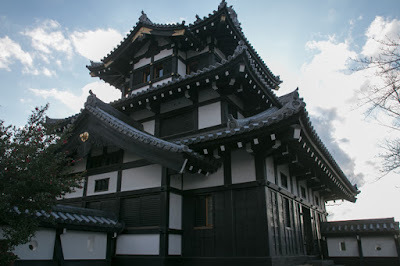 On the other hand, Choan Okubo who supported Tadateru lost his position by political conflict of Edo Shogunate, and Masamune Date was watched for his ambition and connection with Catholic. Tadateru was a potential rival for second Shogun Hidetada Tokugawa, and seemed unmotivated at the battle of Osaka castle. In 1615, just after the battle of Osaka, Ieyasu ordered Tadateru not to visit Ieyasu again. 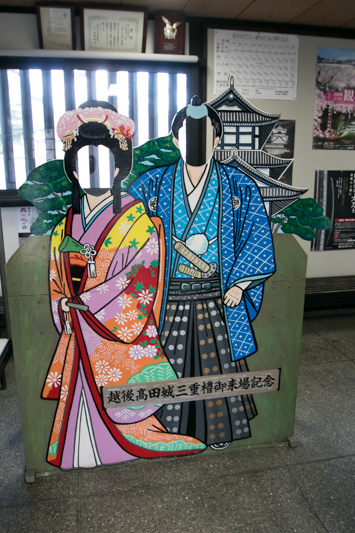 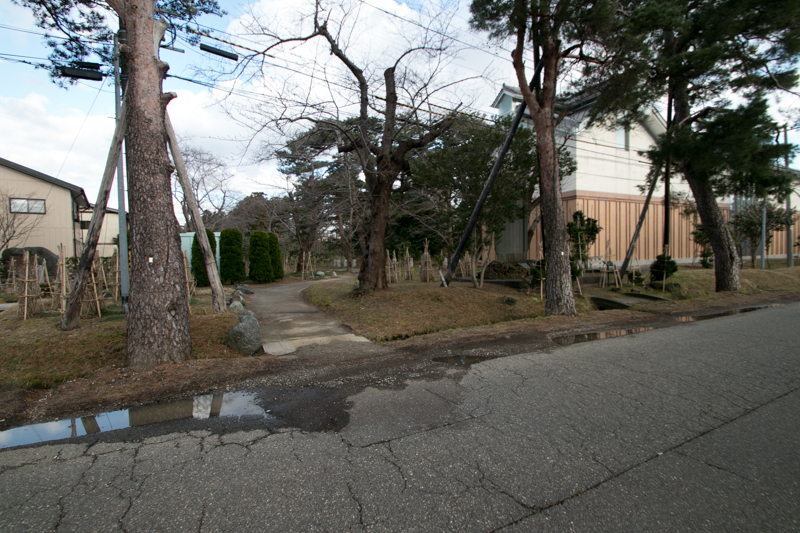 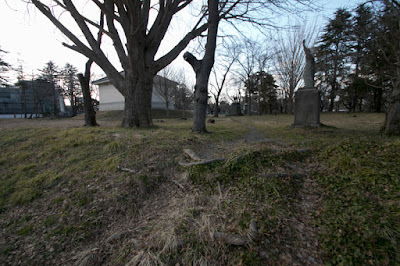 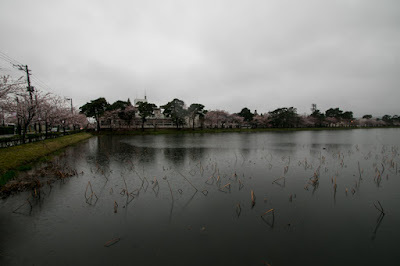 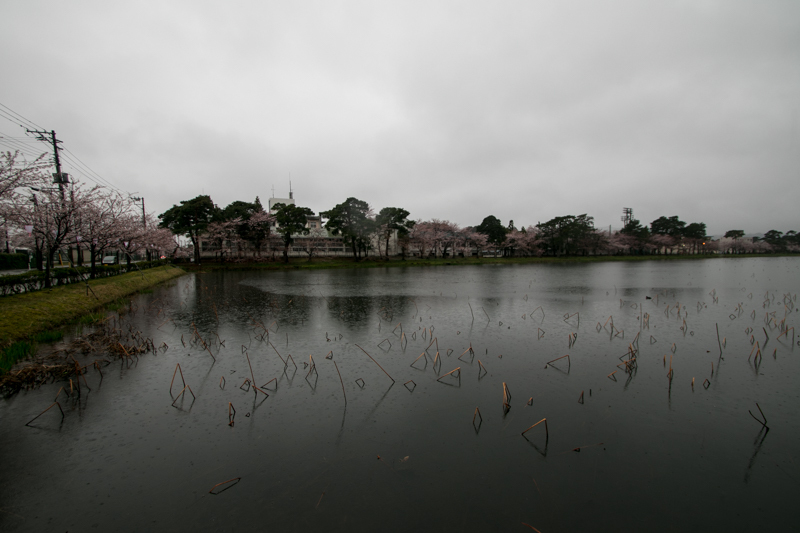 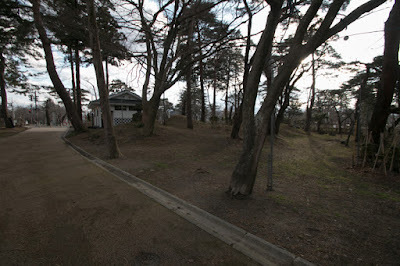 At the death of Ieyasu, Tadateru visited Sunpu castle where Ieyasu lived, but Ieyasu did not meet Tadateru. Next year Hidetada Tokugawa confiscated the territory of Tadateru and expelled him. As Ieyasu soon died after this punishment, no one could forgive Tadateru. Finally Tadateru was confined at Takashima castle (Nagano prefecture), and stayed there most part of his whole life over 50 years. 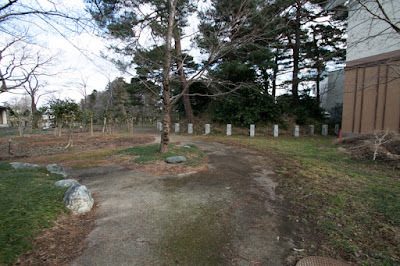 When Tadateru died in 92 years old, there was already the time of fifth Shogun Tsunayoshi Tokugawa (1646-1709). 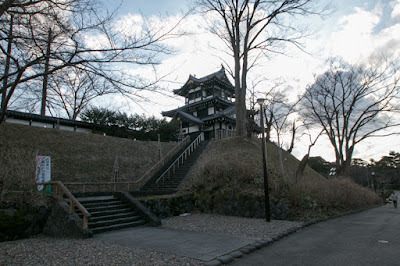 In spite of punishment to Tadateru, importance of Takada castle was unchanged thus hereditary retainers of Edo Shogunate were appointed as the lord of Takada castle. But many of these lords changed in short time and could not manage the domain well. 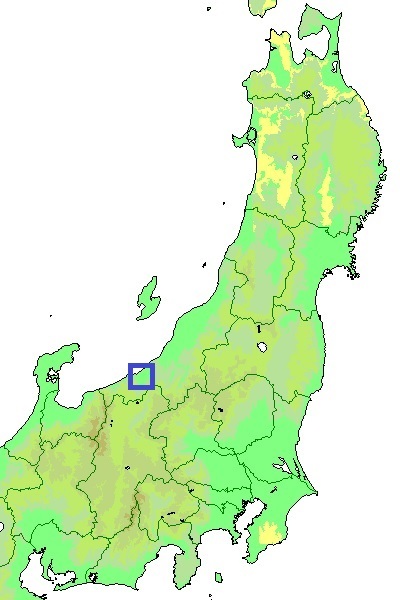 Finally Sakakibara clan served as the lord of Takada domain over 100 years by the end of Edo Shogunate. 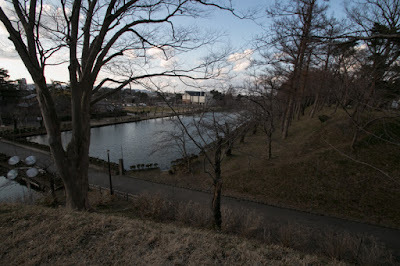 Subsequent to Meiji revolution, Takada clan became a base of Japanese army then east half of the castle was reclaimed. 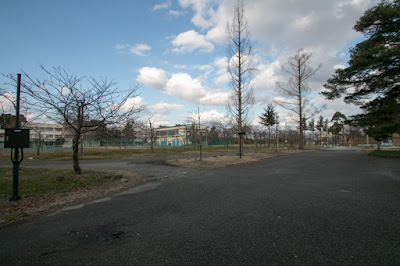 After WW2 major part of central area and east half was used as ground of schools, but west half of the castle still keep its shape and became Takada park. 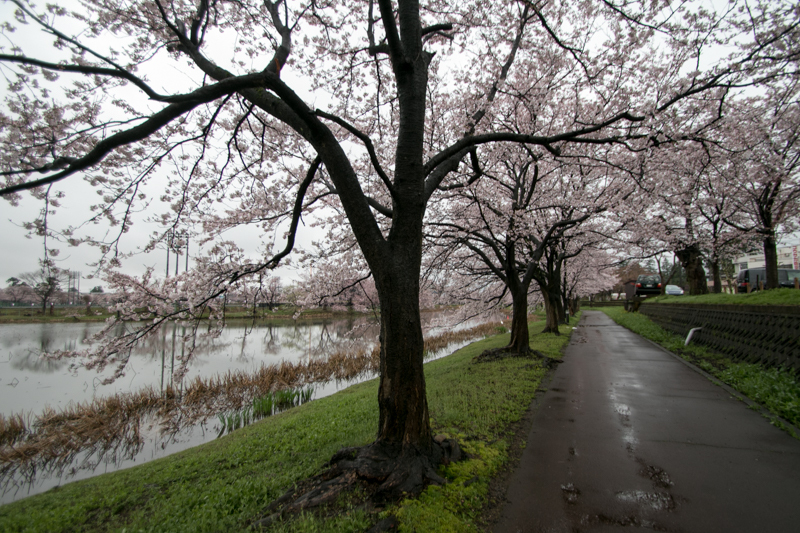 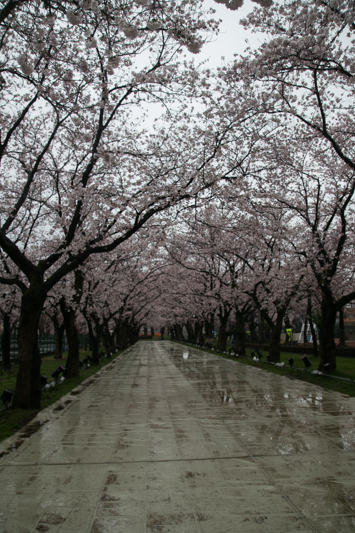 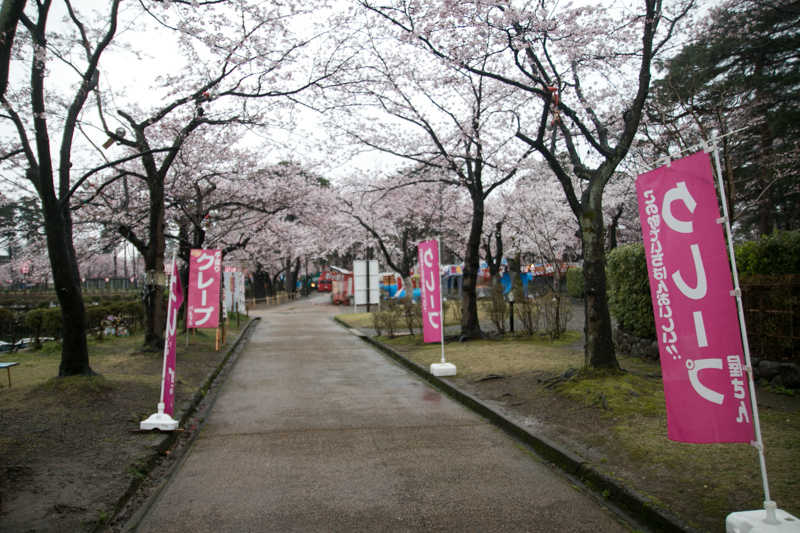 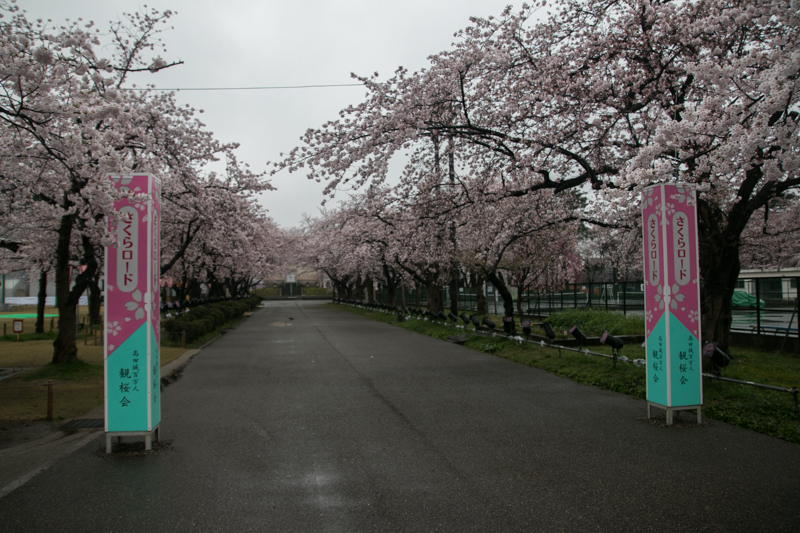 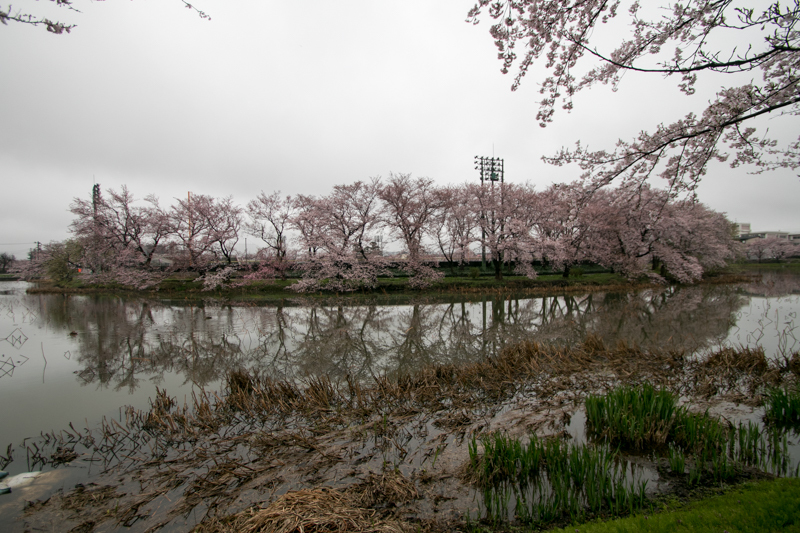 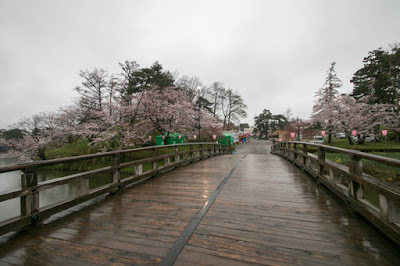 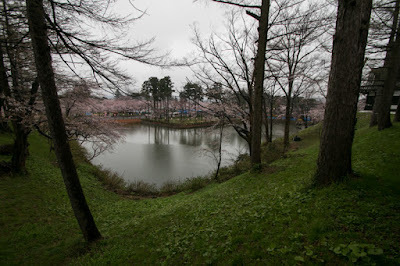 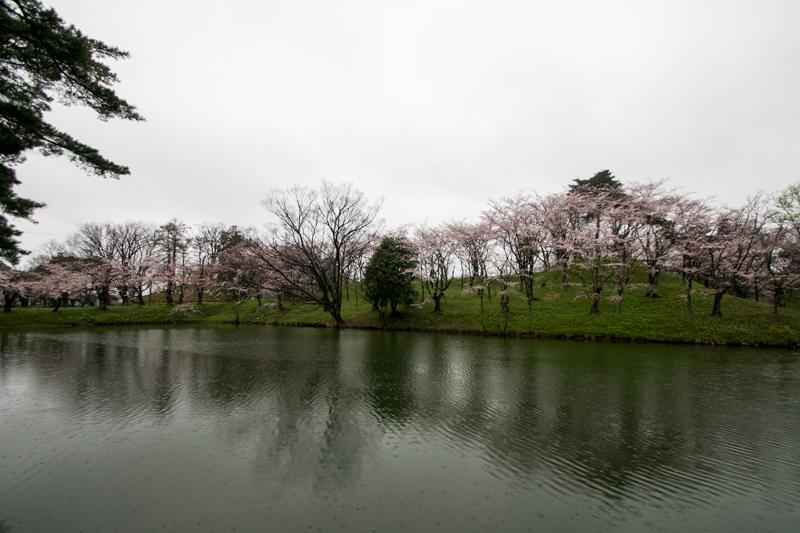 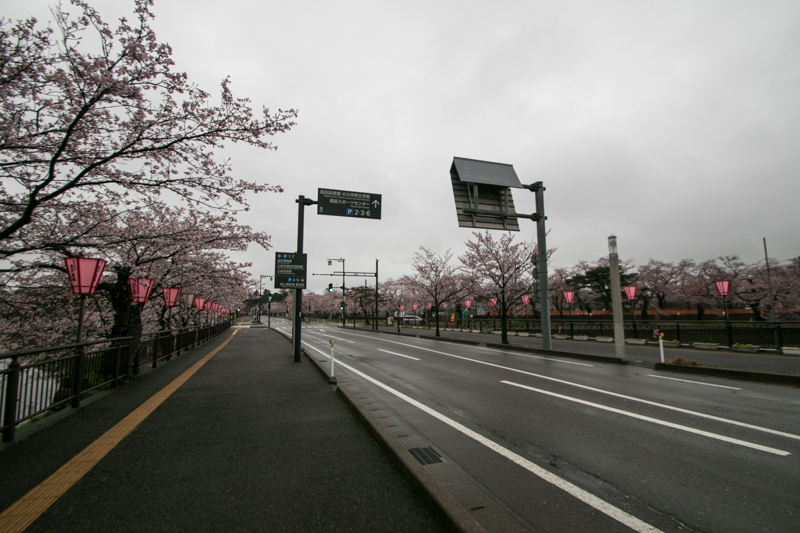 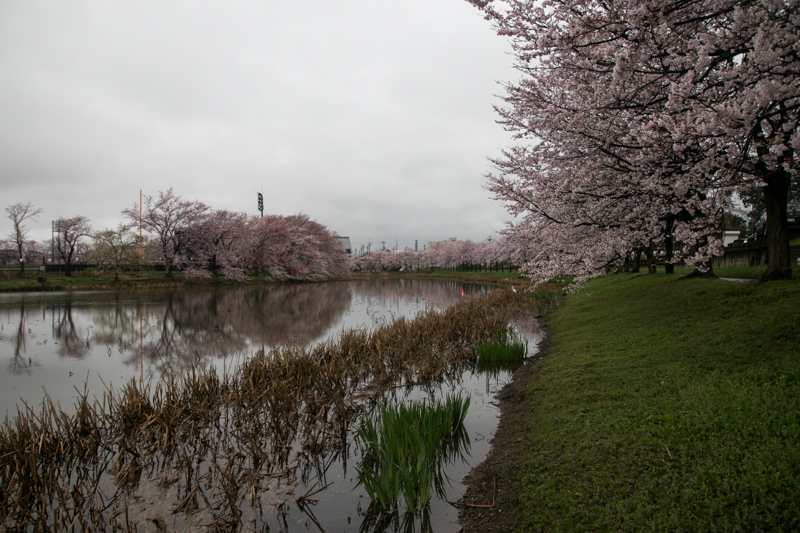 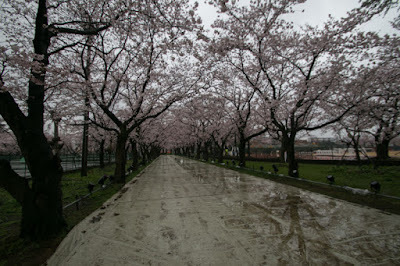 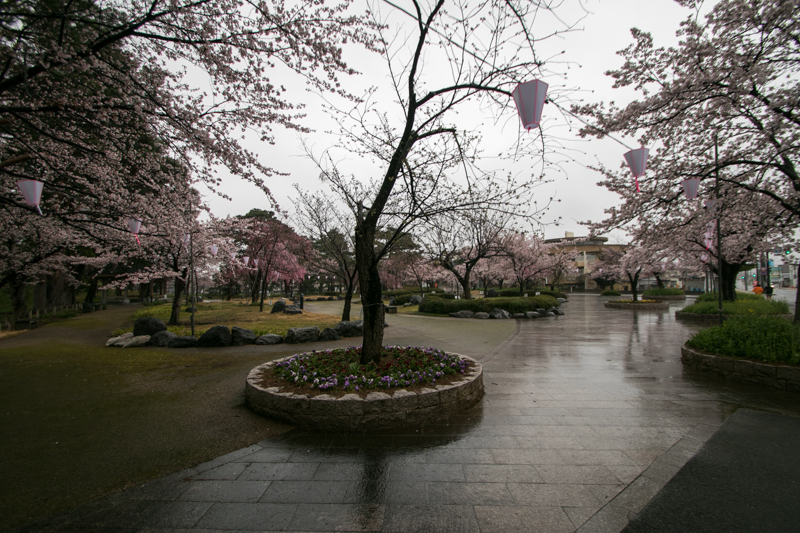 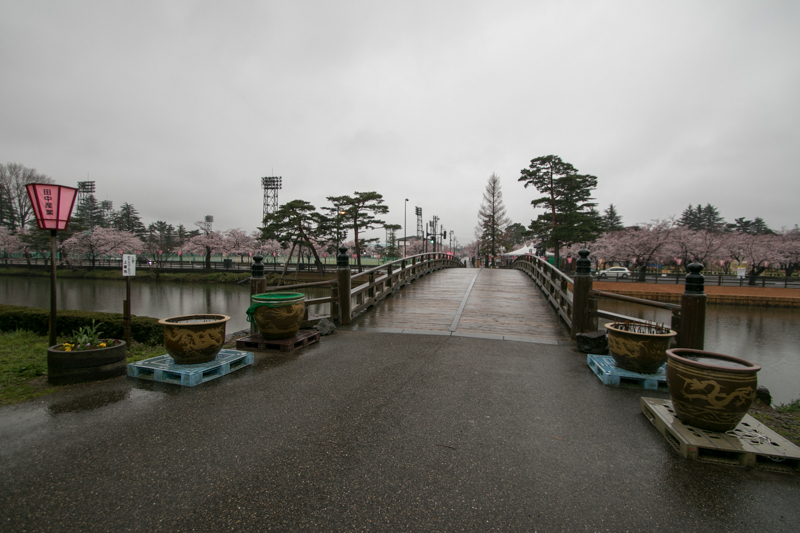 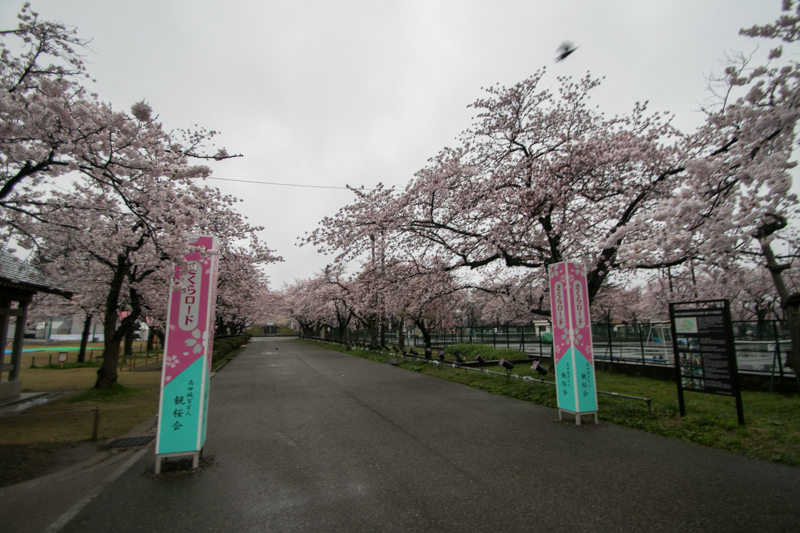 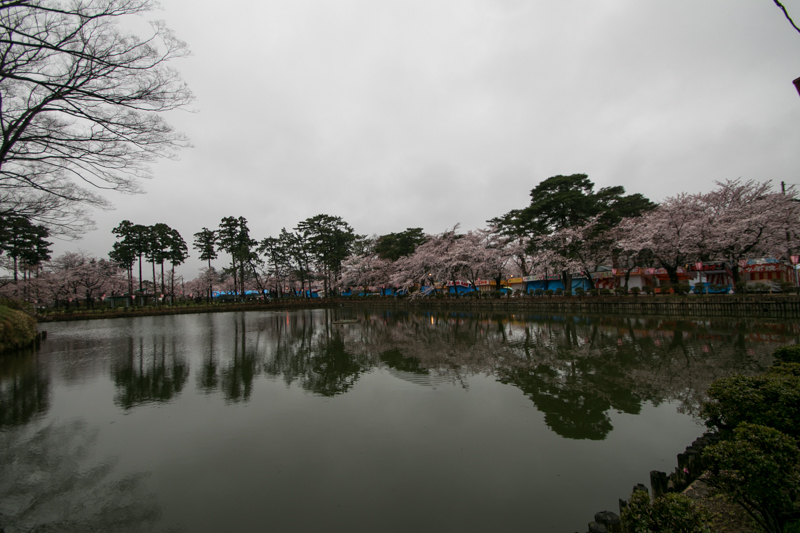 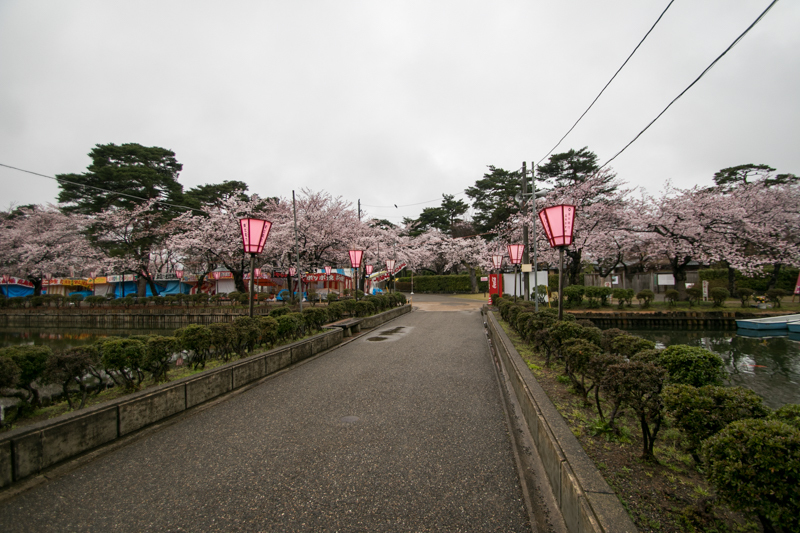 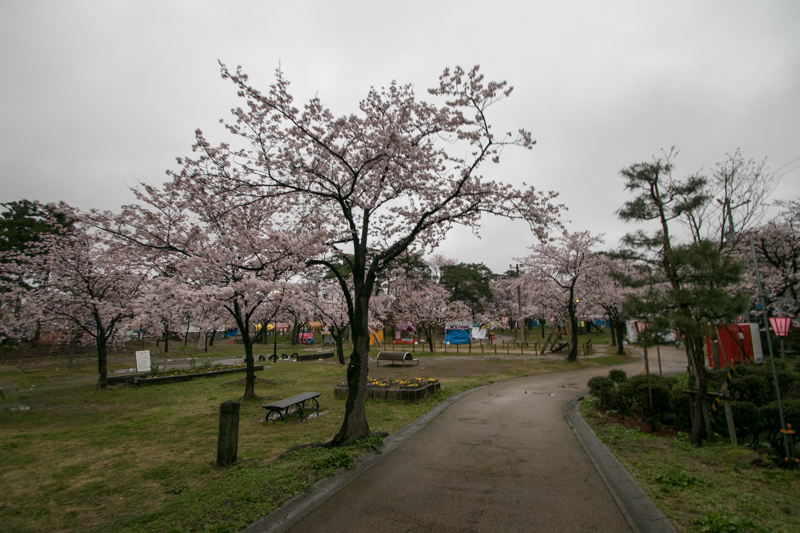 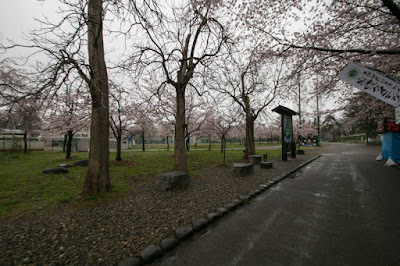 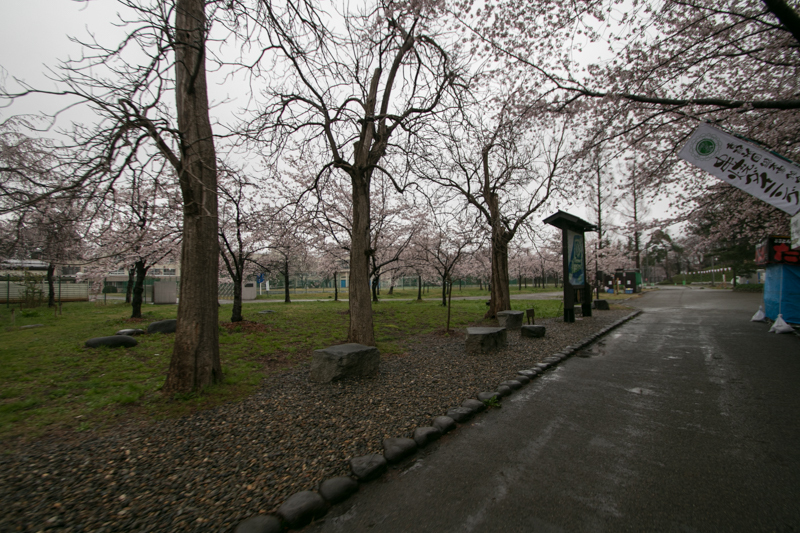 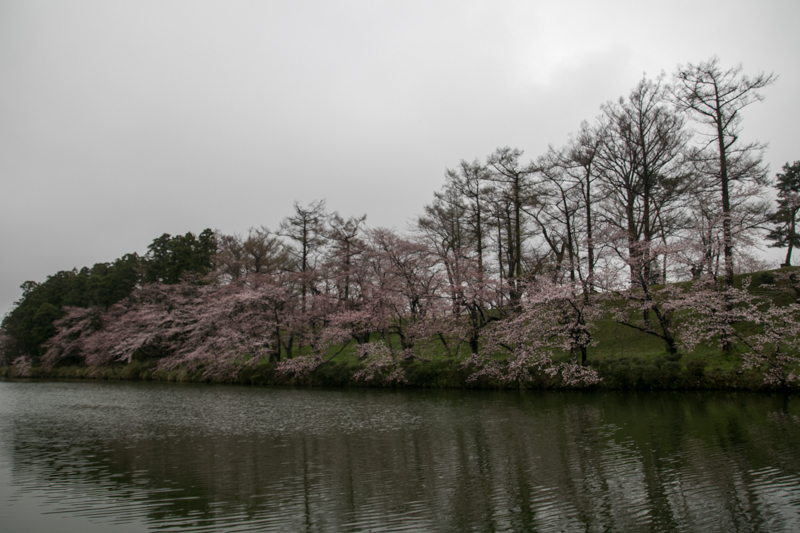 Now over 4,000 cherry blossom are planted around the castle, and in spring castle park becomes popular cherry blossom watching site with over one million visitors. 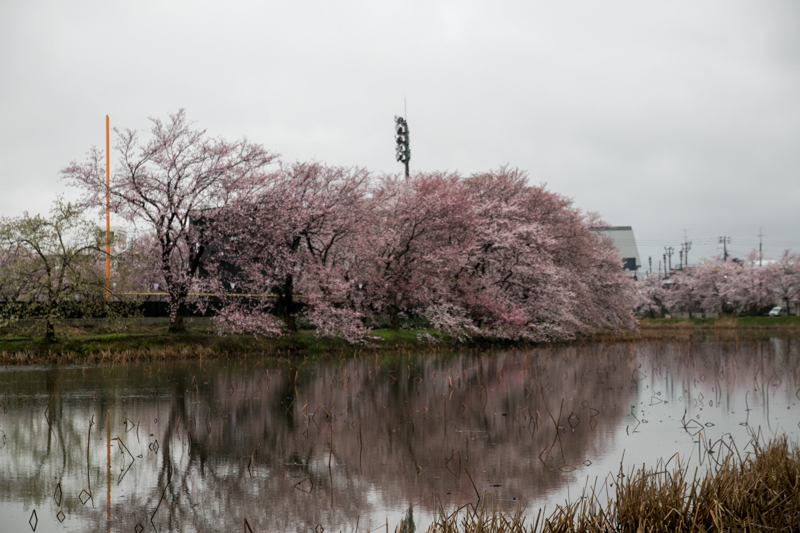 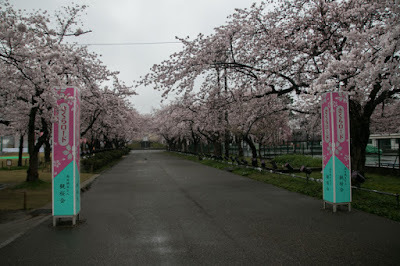 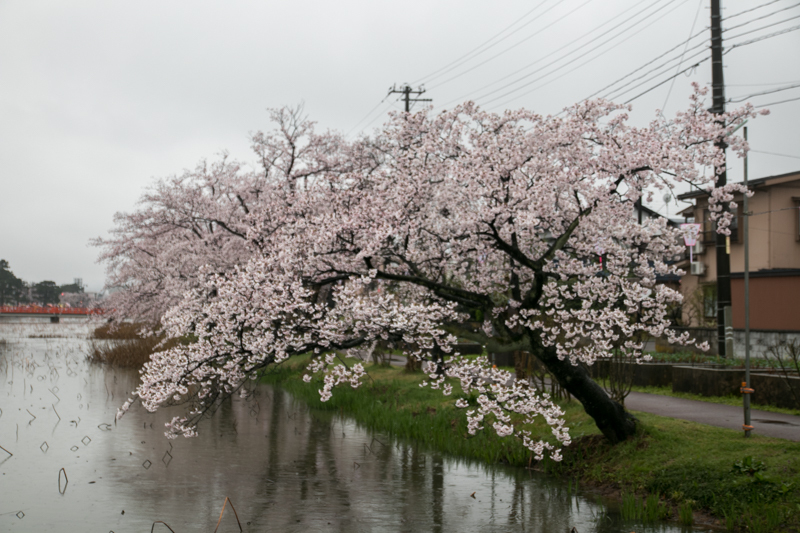 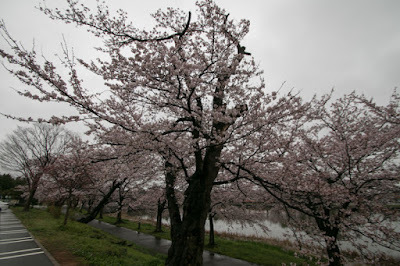 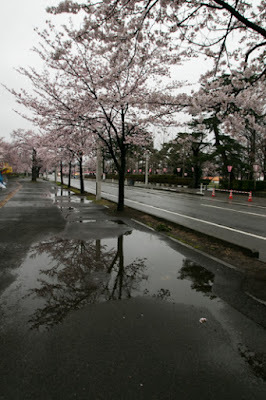 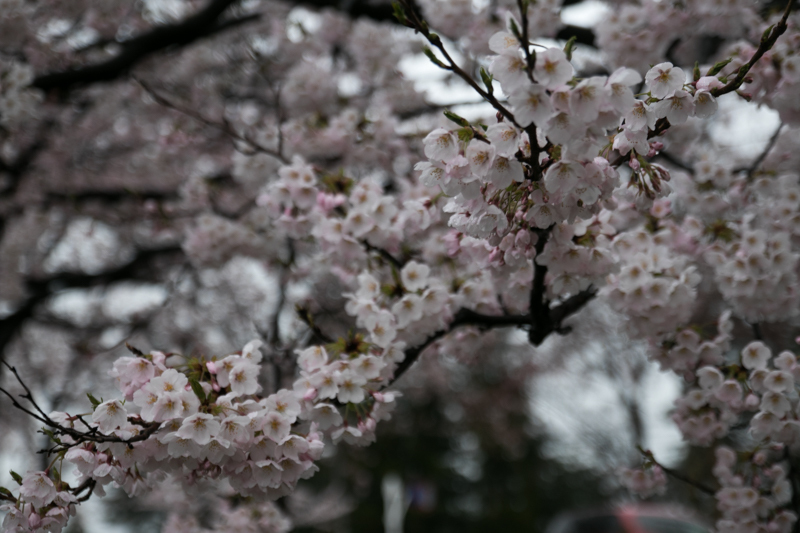 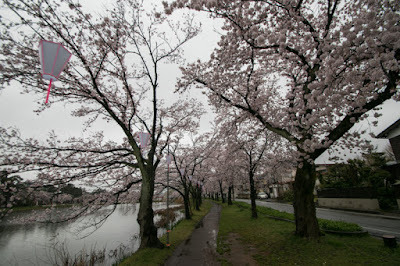 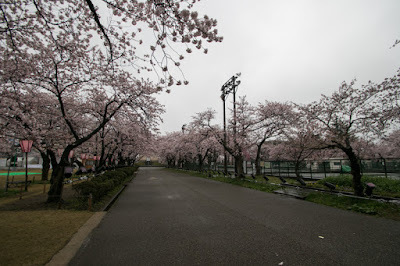 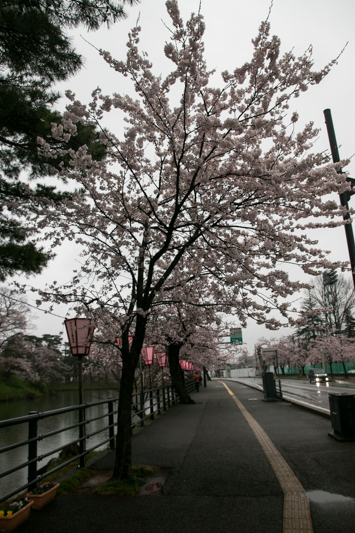 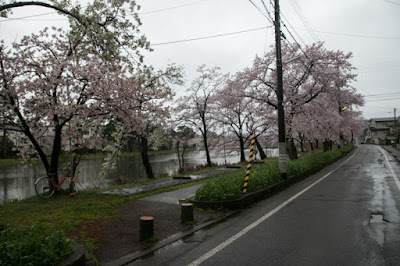 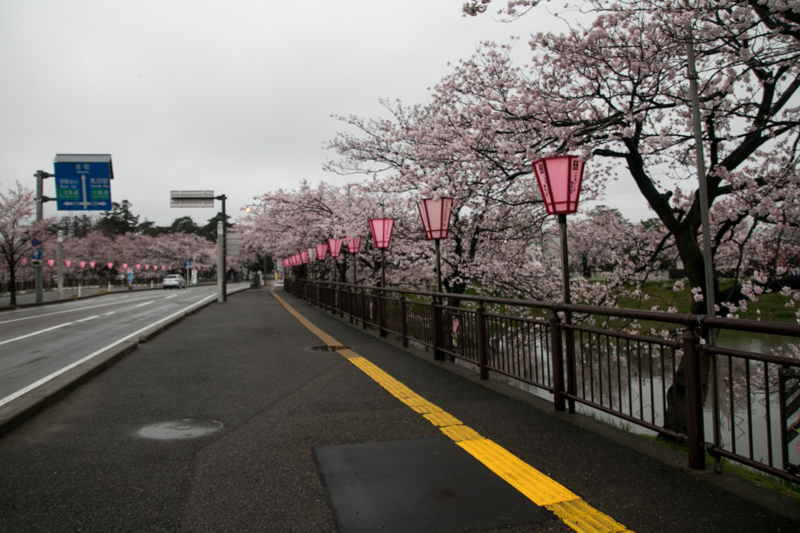 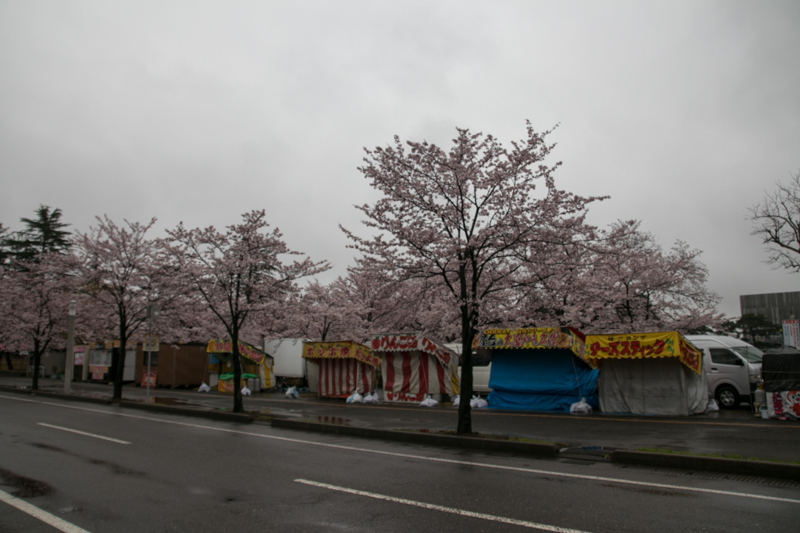 Scenery of cherry blossoms bear heavy snow and fully blooms short time in spring, then wait for next year resembles to the life of obscure prince Tadateru Matsudaira. 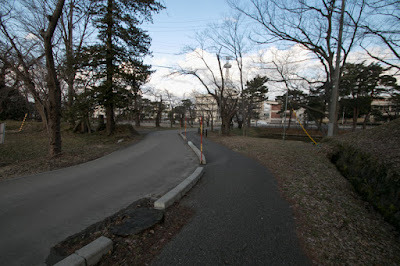 15 minutes walk from Echigo Tokimeki Tetsudo Myoko Haneuma line Takada station. 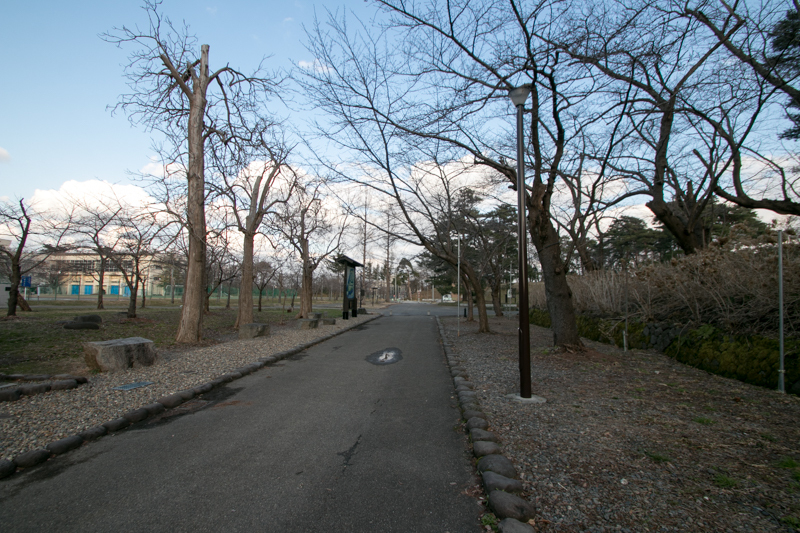 15 minutes drive from Joshinetsu Jidoshado Expressway Joetsu-Takada interchange.